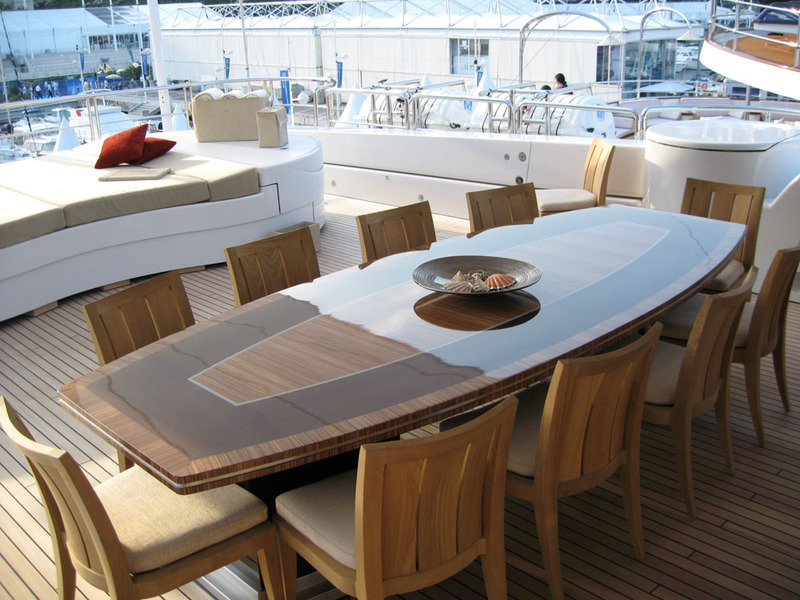 Superyachts, both sail and power, demand the very highest quality workmanship. 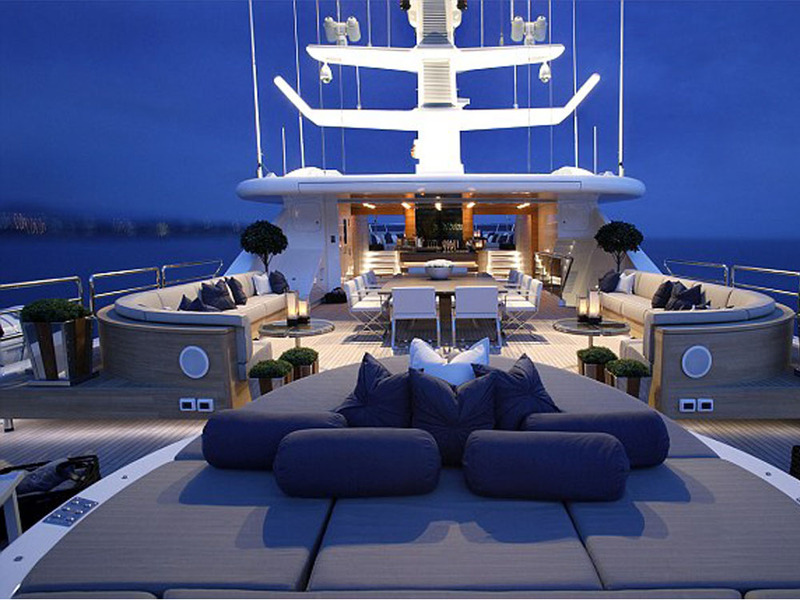 We can fulfill this requirement. 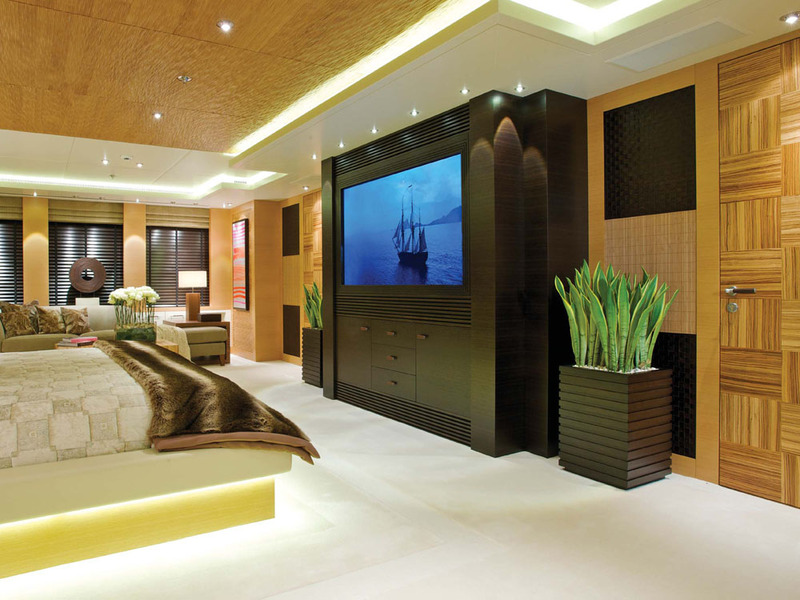 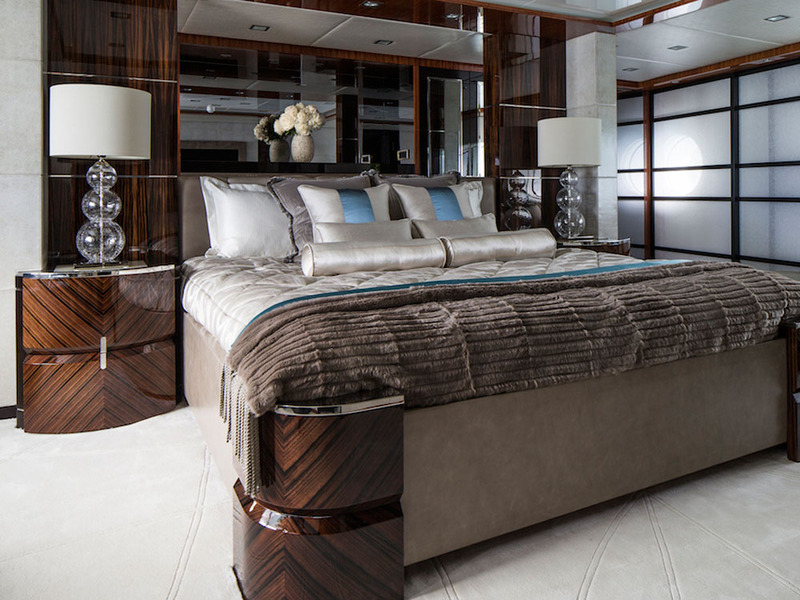 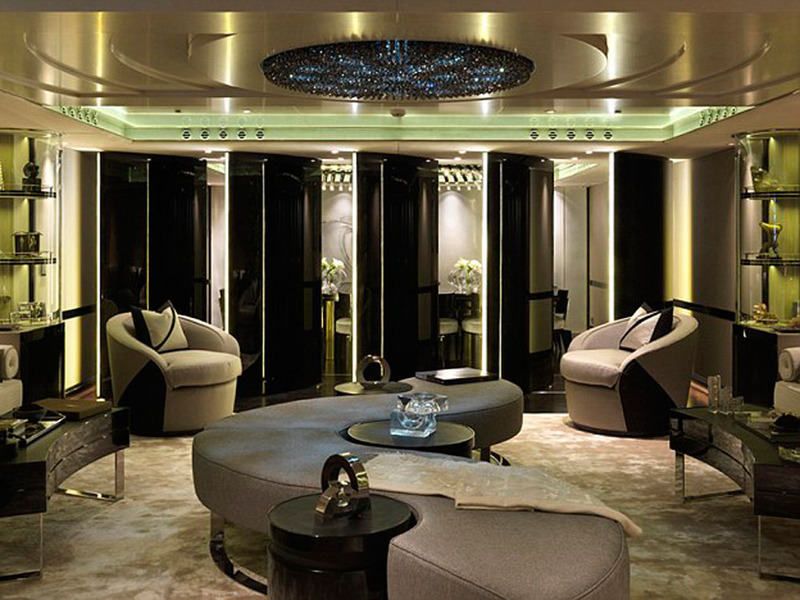 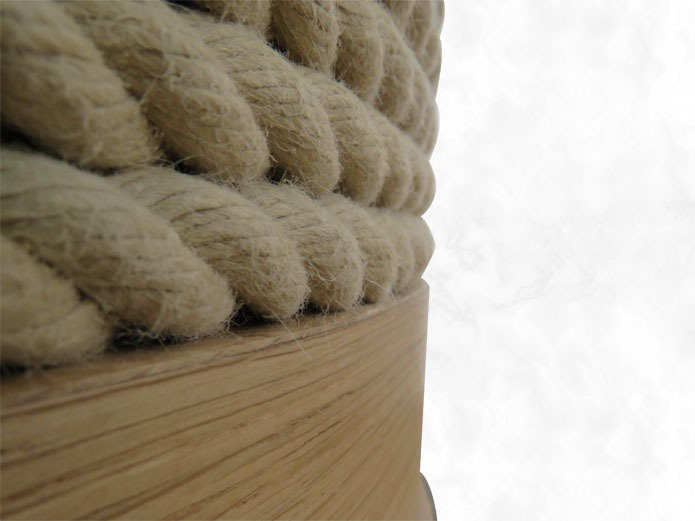 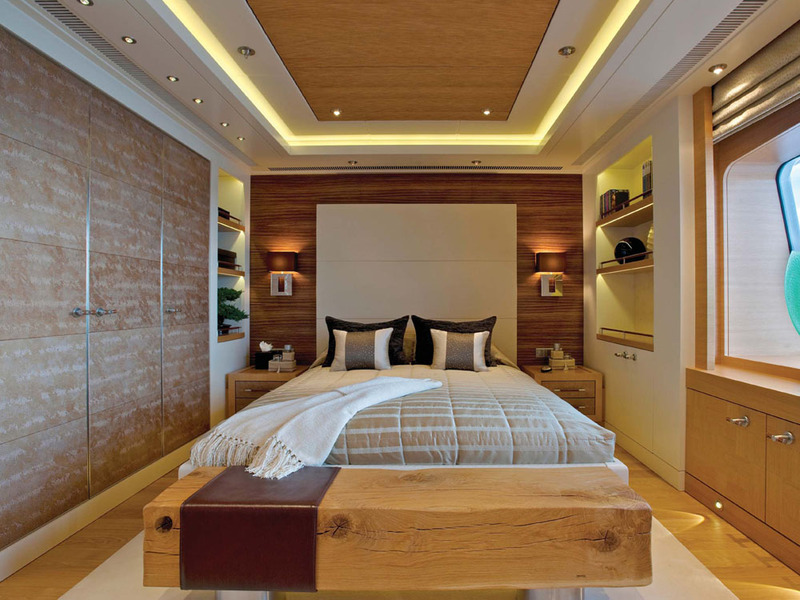 Our experience in building furniture for some of the most prestigious yachts in the world enables us to understand your individual requirements and tailor a production programme that will seamlessly fit into your schedule. 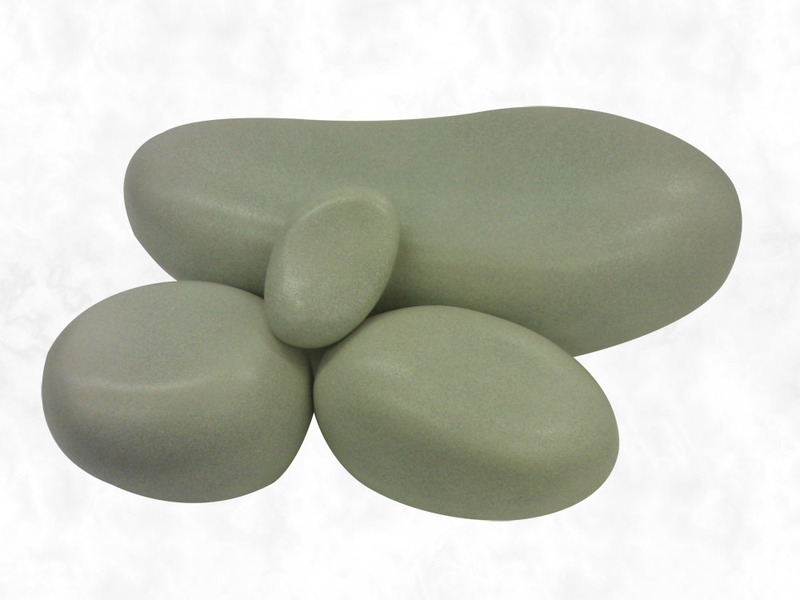 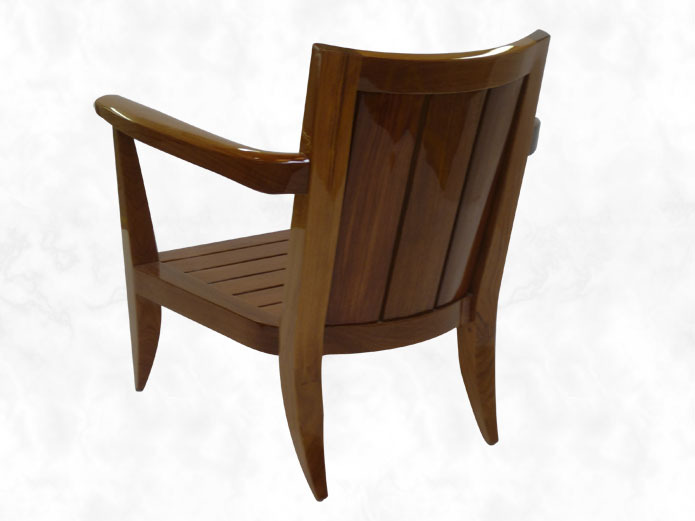 MY Shemara combines classics lines with timeless elegance. 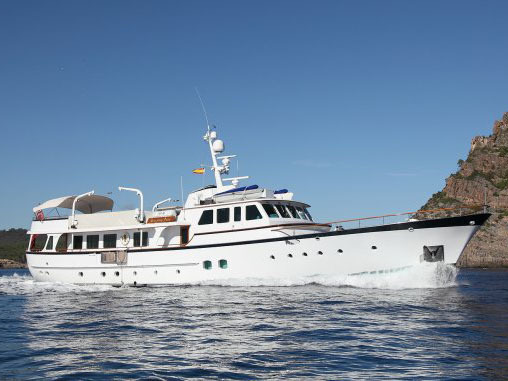 Originally built in 1938 by Thornycroft & Company, she was requisitioned by the Navy during the World War II and served as an A/S vessel and later as a training vessel. 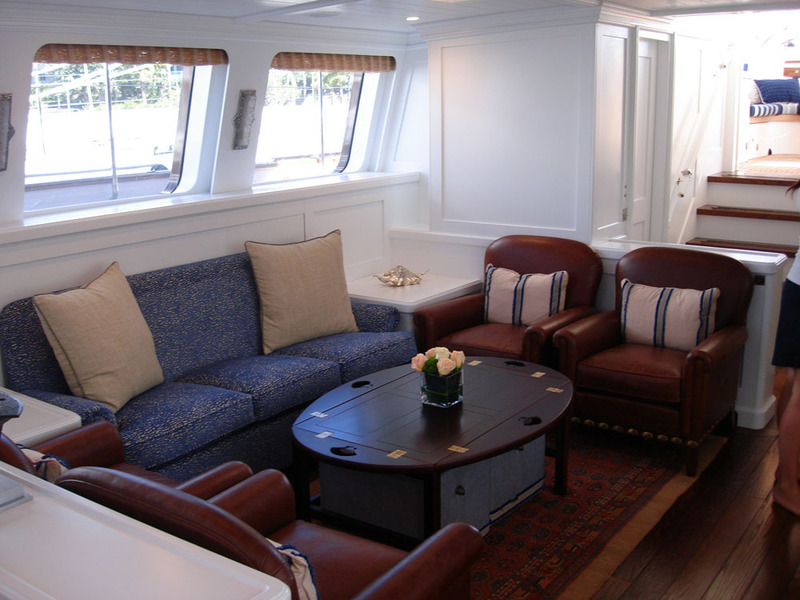 Thanks to her major refit in 2014, this rebuilt and restored yacht now boasts a mix of contemporary interior and original features. 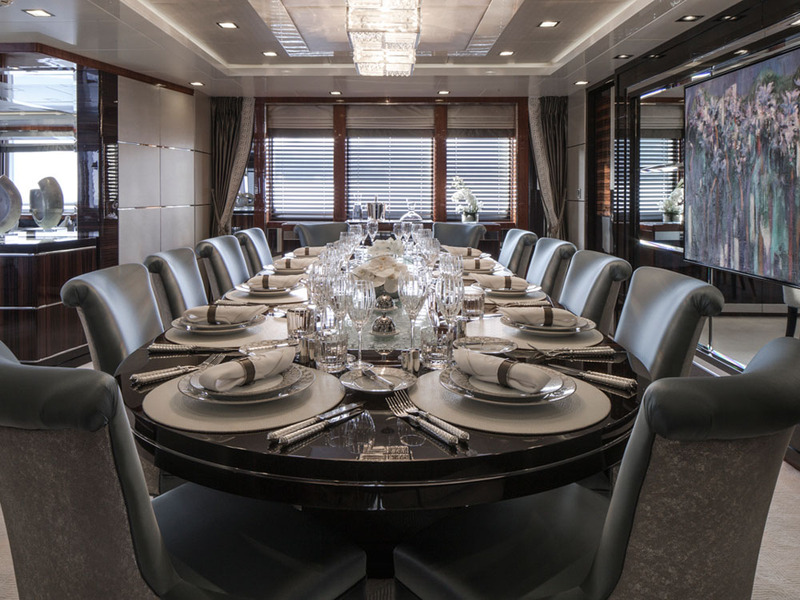 Introducing the new and improved superyacht Turquoise after an extensive refit project by the new owners to increase the longevity of her charter career. 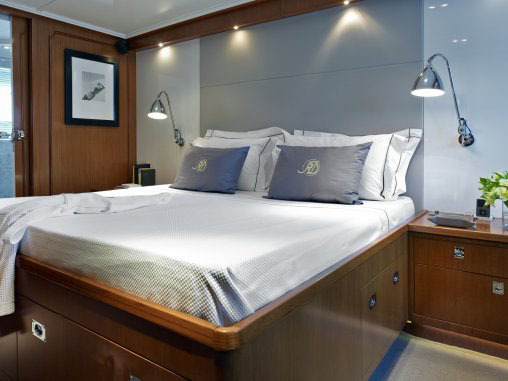 The refit was completed in Spring 2014 by the award winning design studio H2 Yacht Design with the brief to create a relaxed and luxurious feel on board Turquoise to match its exceptional layout. 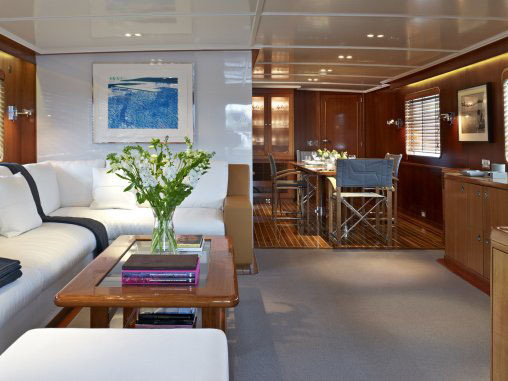 Inukshuk (pronounced “in-ook-shook”) is a no expense spared, state-of-the-art sailing yacht, she is the winner of two awards at the ‘2014 Show Boat Awards’ ceremony. 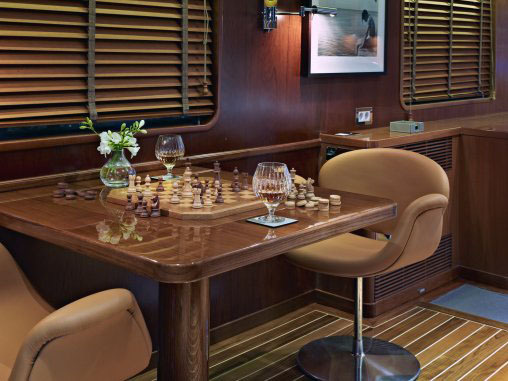 Whether you’re looking for luxury or adventure, or maybe a combination of both, Inukshuk is the perfect no compromise yacht. 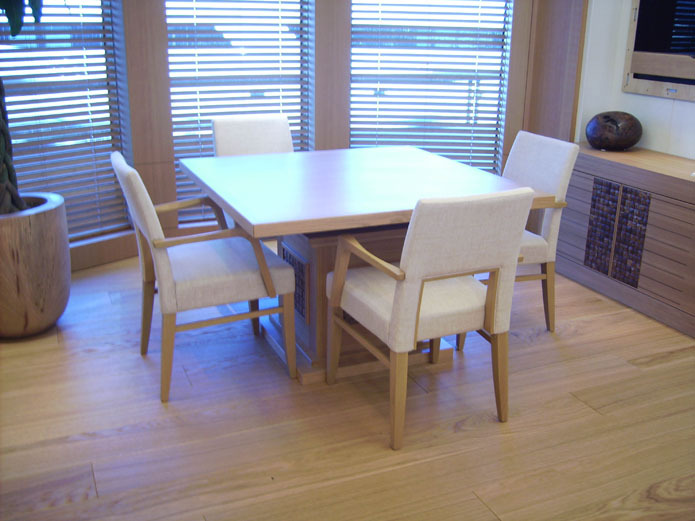 Furniture Package with Mark Berryman Design including an extending dining table and cabinets. 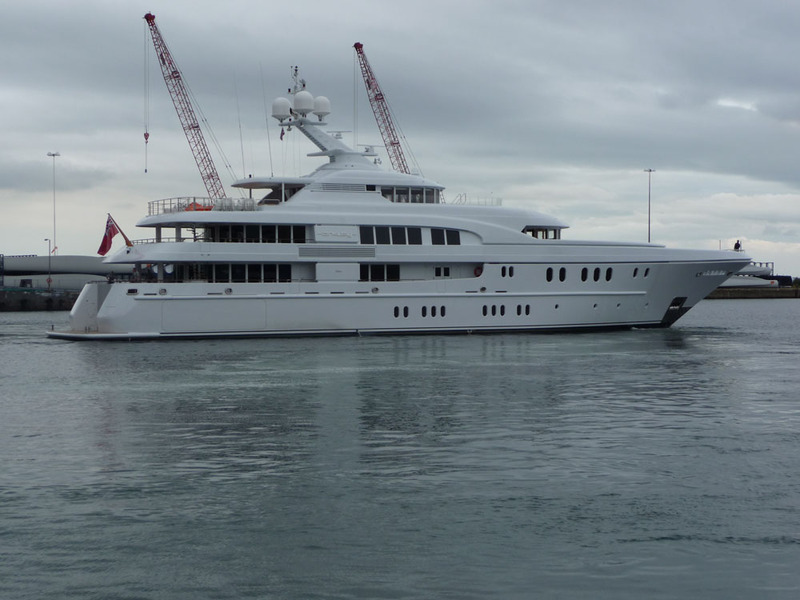 Launched in 2013, the 73m motor yacht Odessa II (Project 423) is an extraordinary vessel, built by the German shipyard ADM Kiel and completed by Nobiskrug. 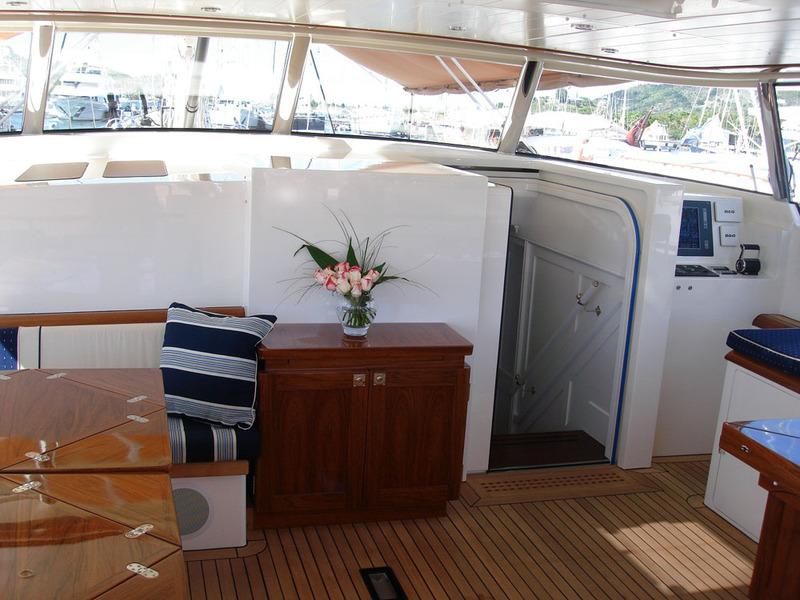 For this repeat client, this yacht represents a step up in size for them, with a focus on relaxed family cruising in a secure environment. 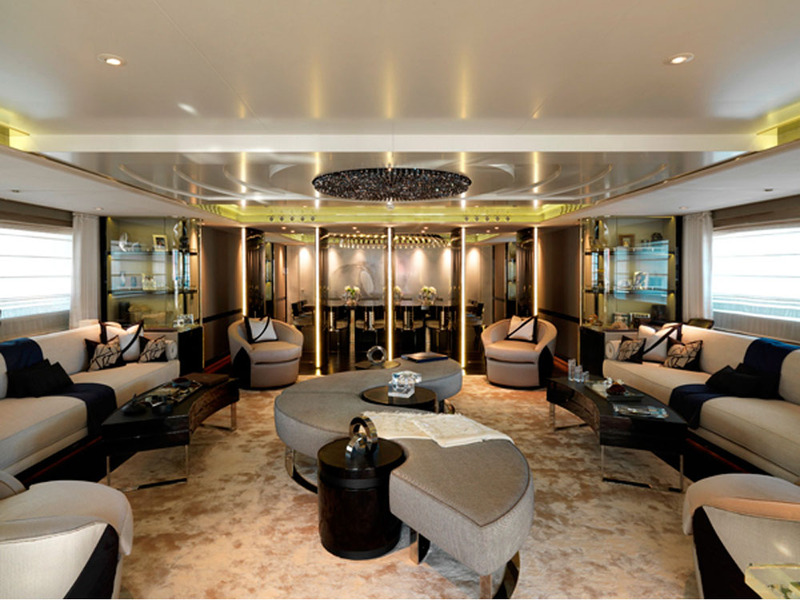 H2 have created interior living areas that encompass an elegant New Hampton style. 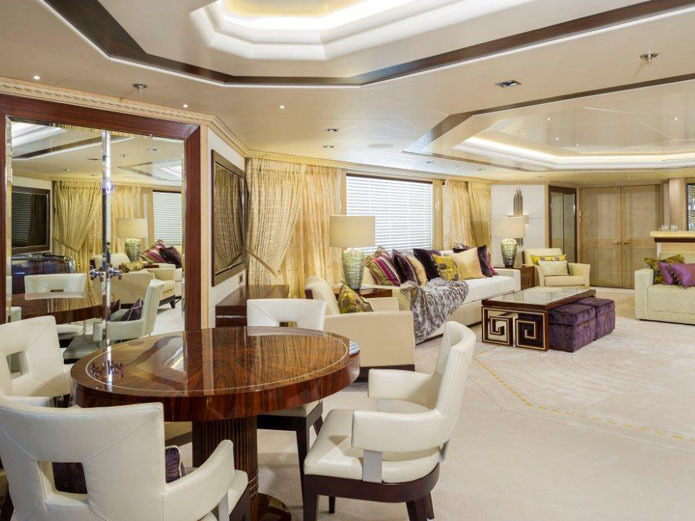 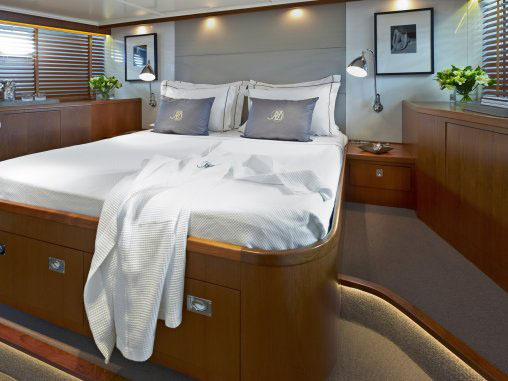 Accommodation is offered for 12 guests six staterooms including a full beam master suite with panoramic views.During 2014 she was recognised with a nomination for the prestigious World Superyacht Awards ‘Best Displacement Motor Yacht of 1,300GT to 1,999GT’ category. 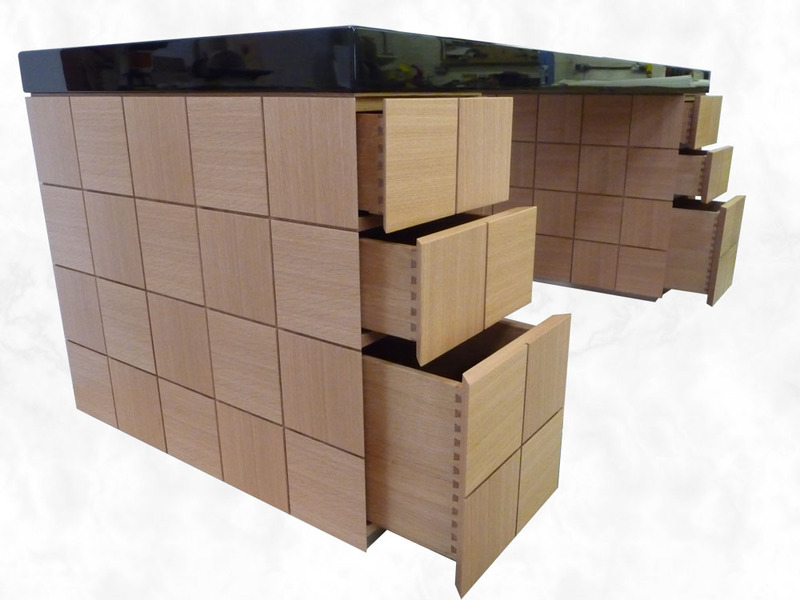 We were commissioned by Mark Berryman Designs to manufacture the Loose Furniture Package on behalf of the Owners, for the Interior & Exterior of the project a total of 28 pieces. 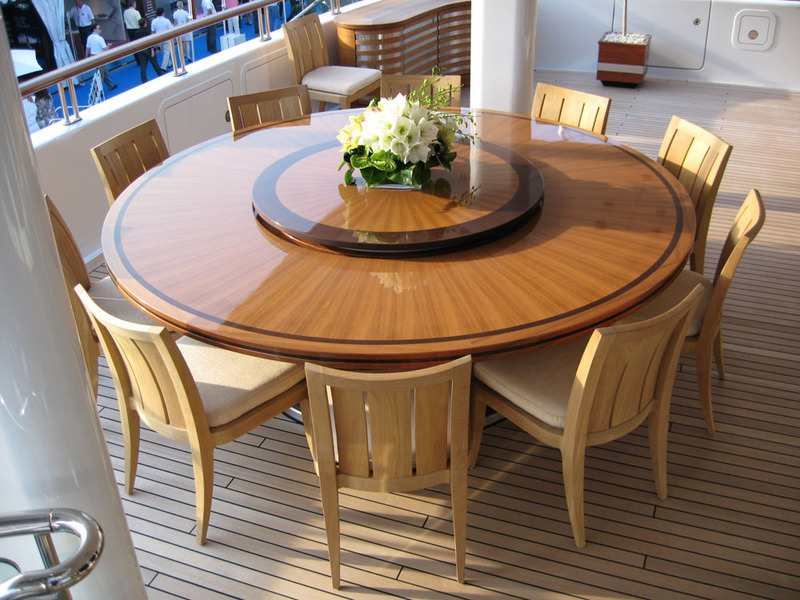 Due to the complexity of some items especially the Exterior Tables it was necessary to liaise carefully with the Shipyard (Lürssen Shipyard) who we developed a very good working relationship with. 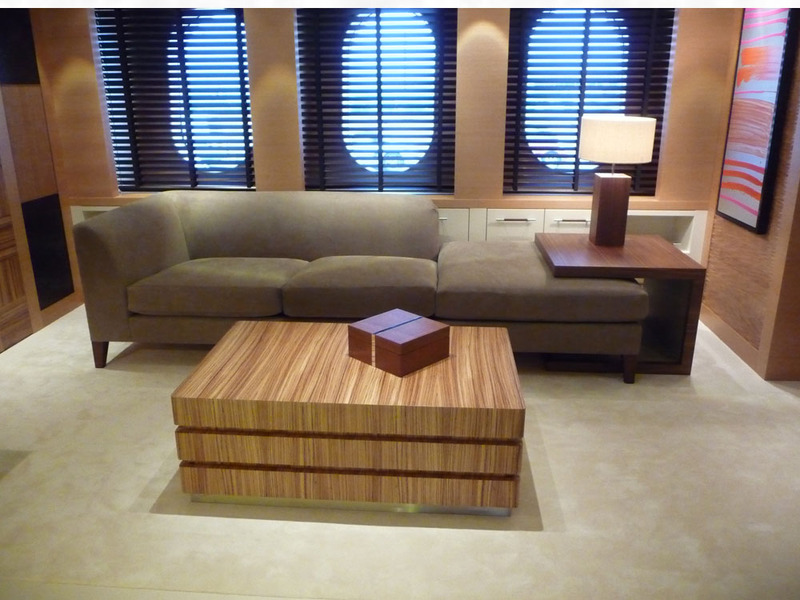 Through this process we were invited directly by Lürssen Shipyard to supply additional 8 pieces of Exterior Furniture that were in there list of supply. 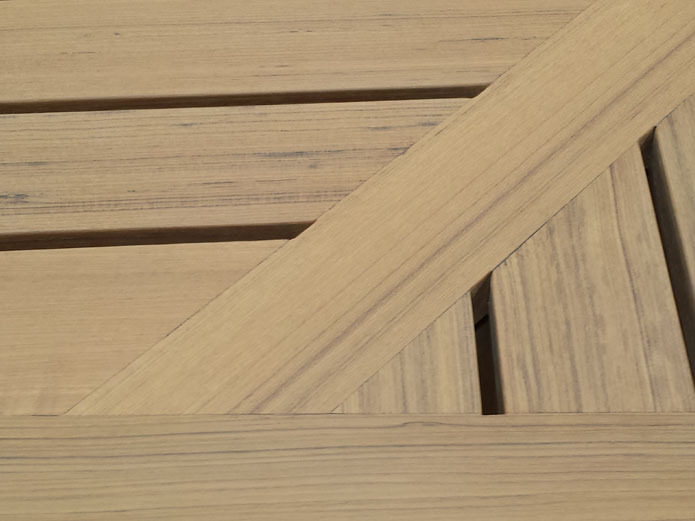 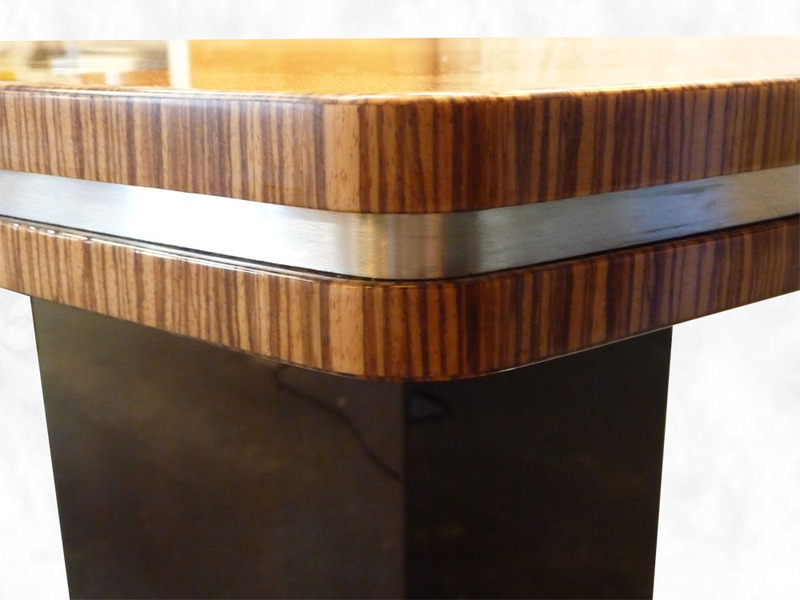 - The exterior Furniture was a mix of Teak, Wenge & Zebrano Timbers & Veneers with Brushed Stainless Steel bases. 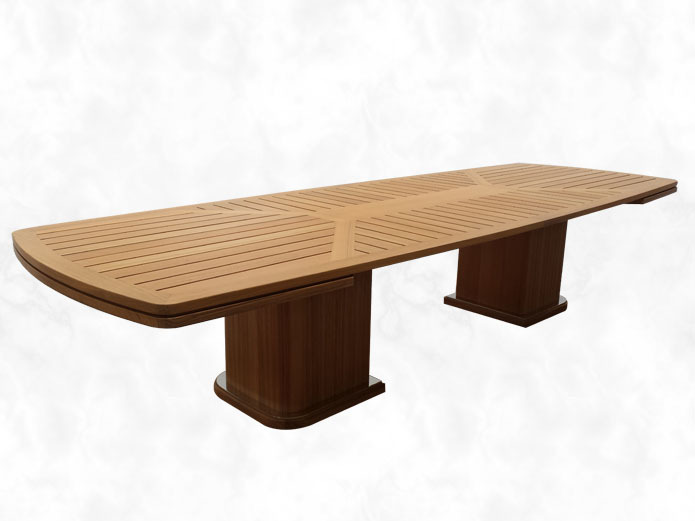 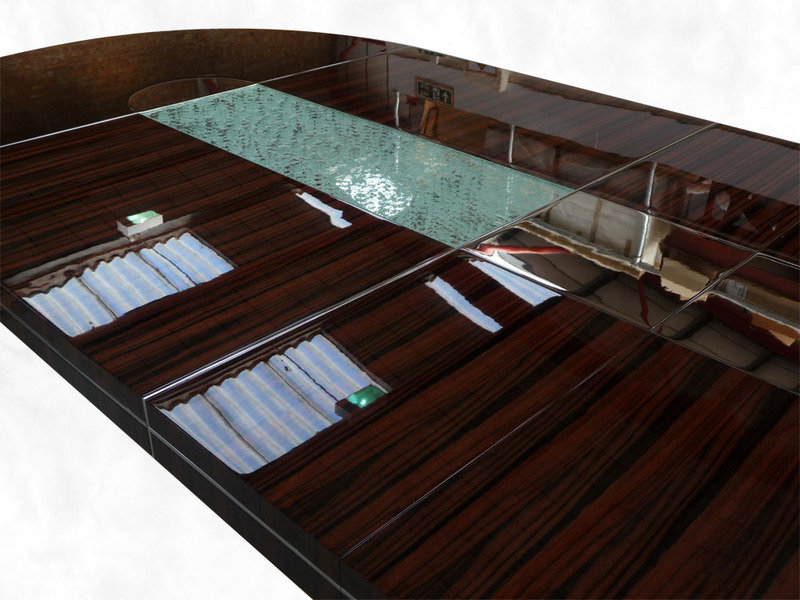 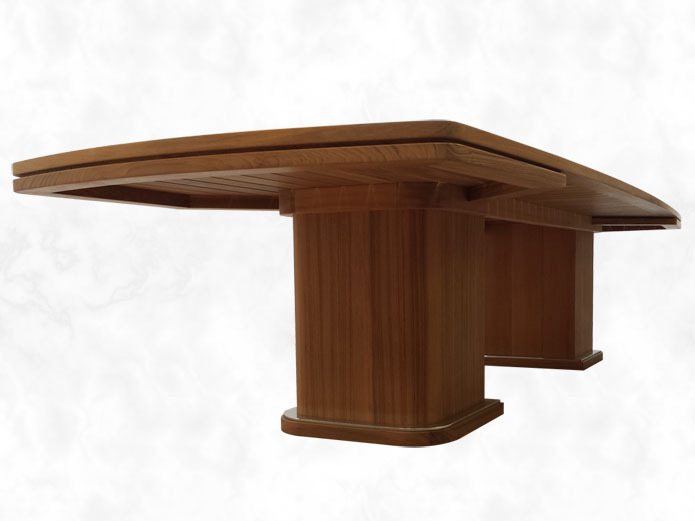 - The Main Deck Dining Table was made in Solid Teak Timber & Veneer with Wenge inlay details and Brushed Stainless Steel Base and polished to a high gloss finish with exterior Varnish. 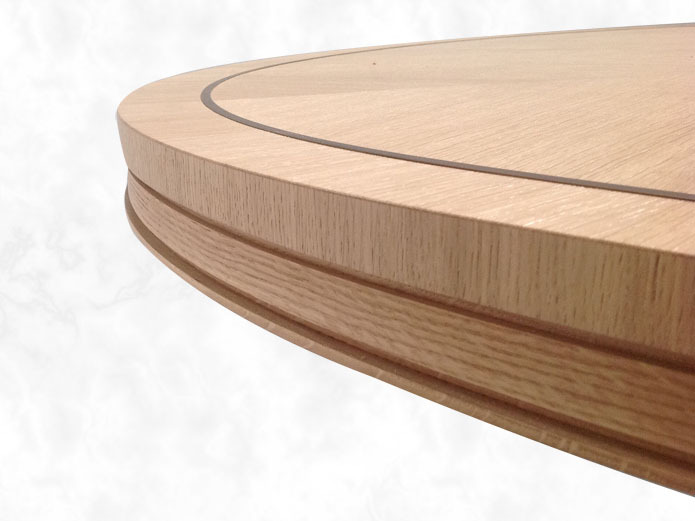 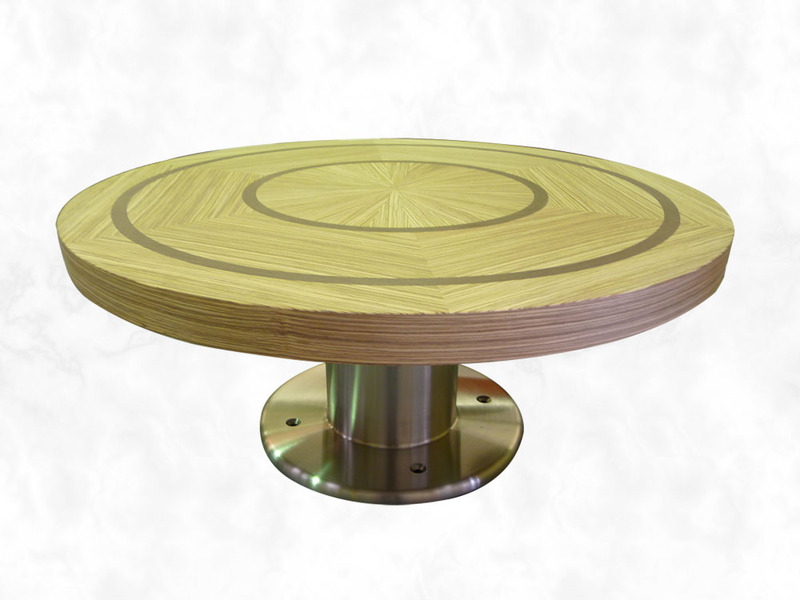 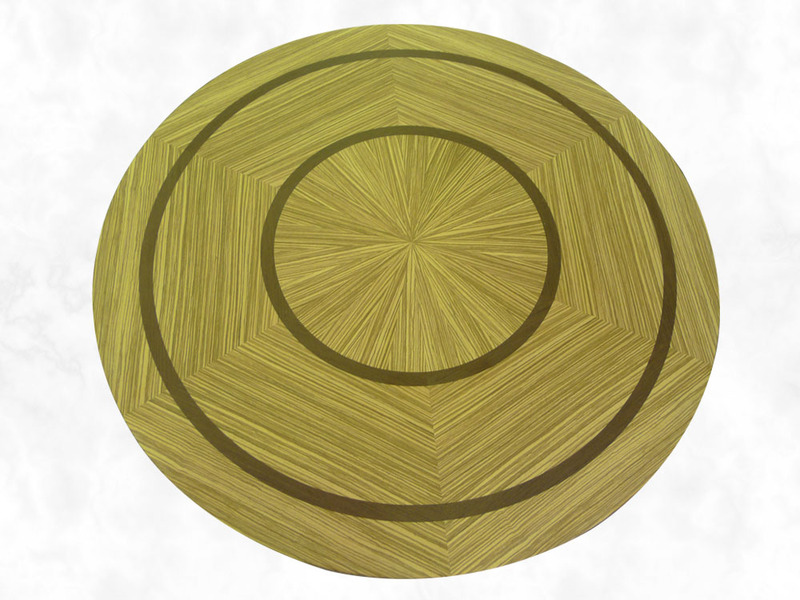 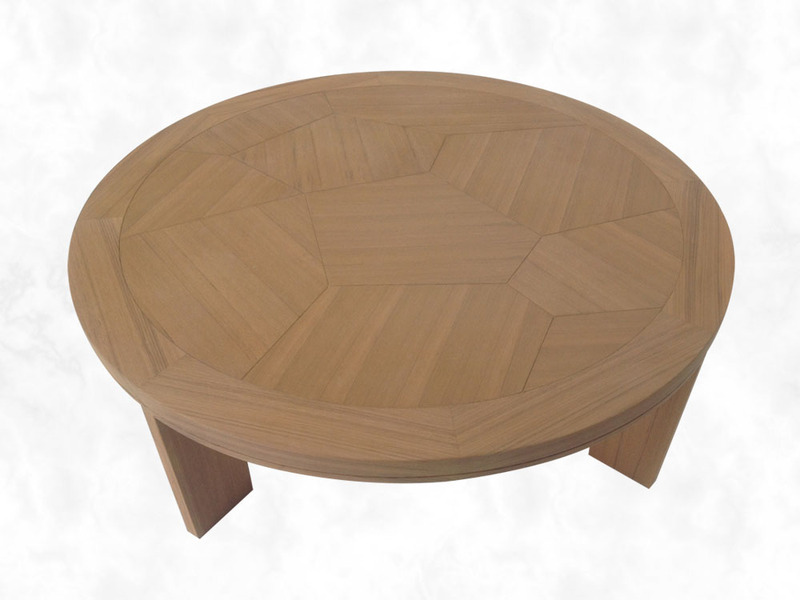 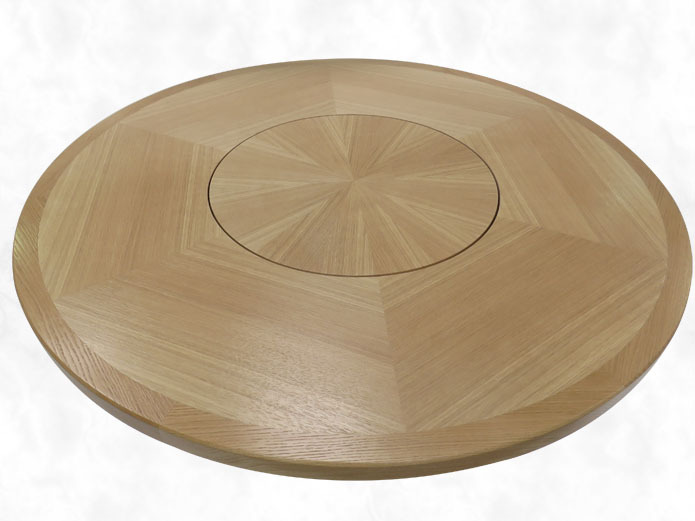 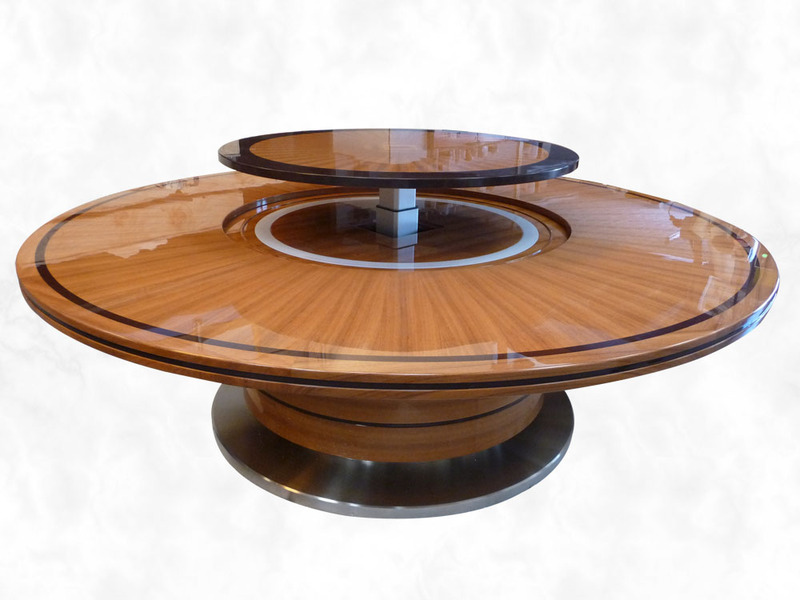 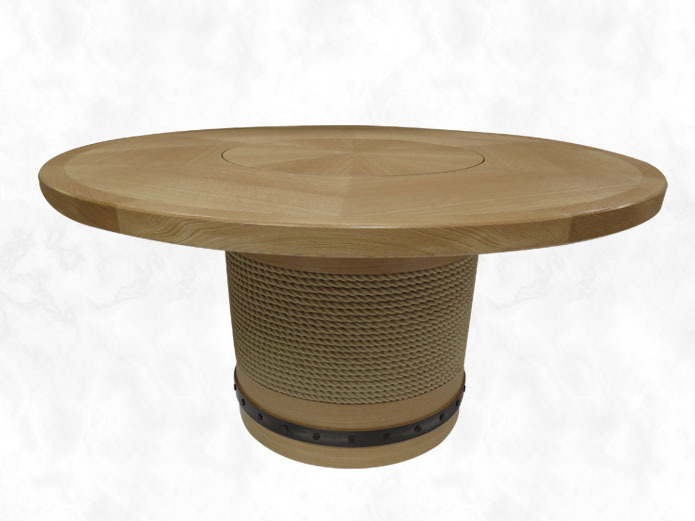 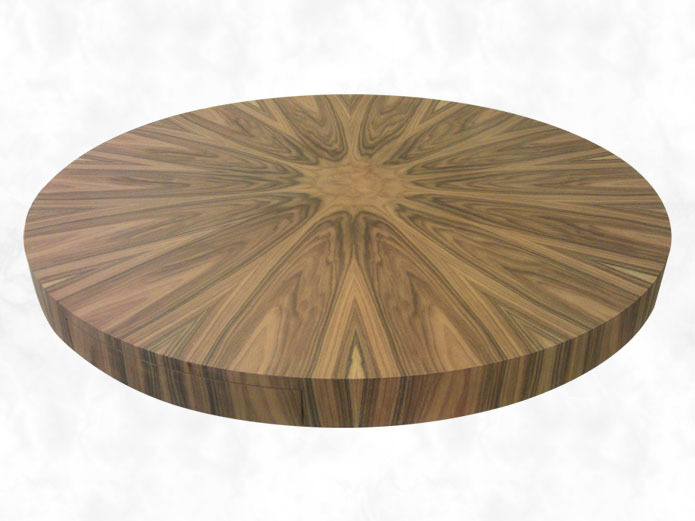 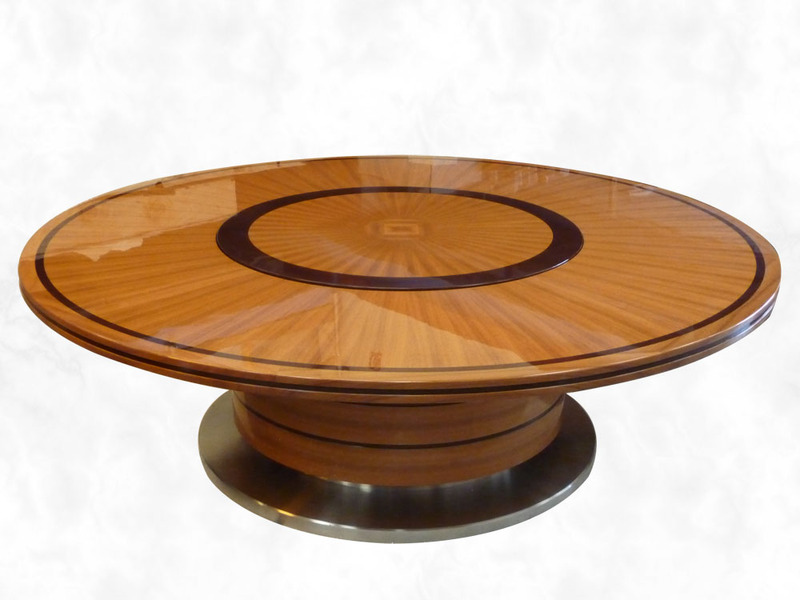 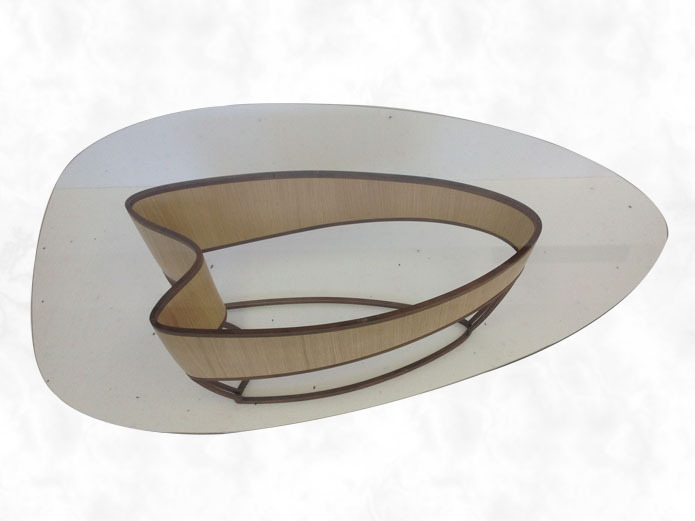 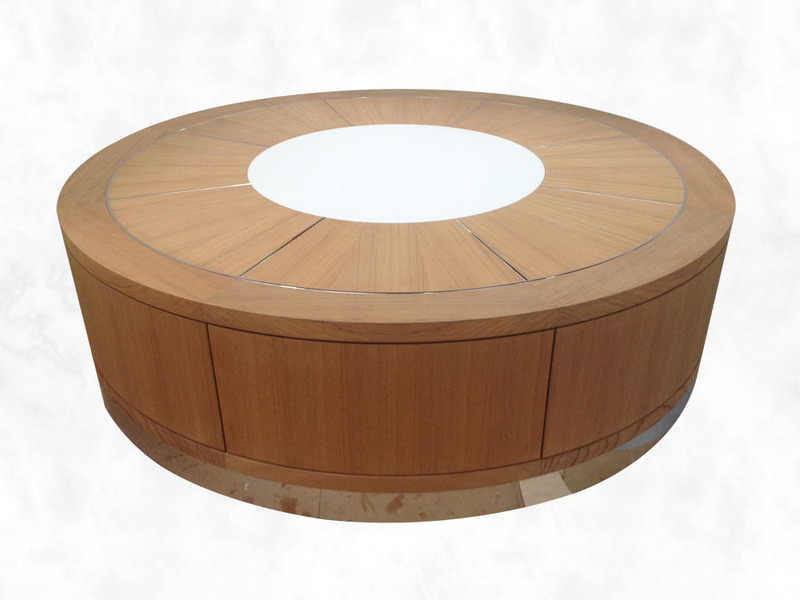 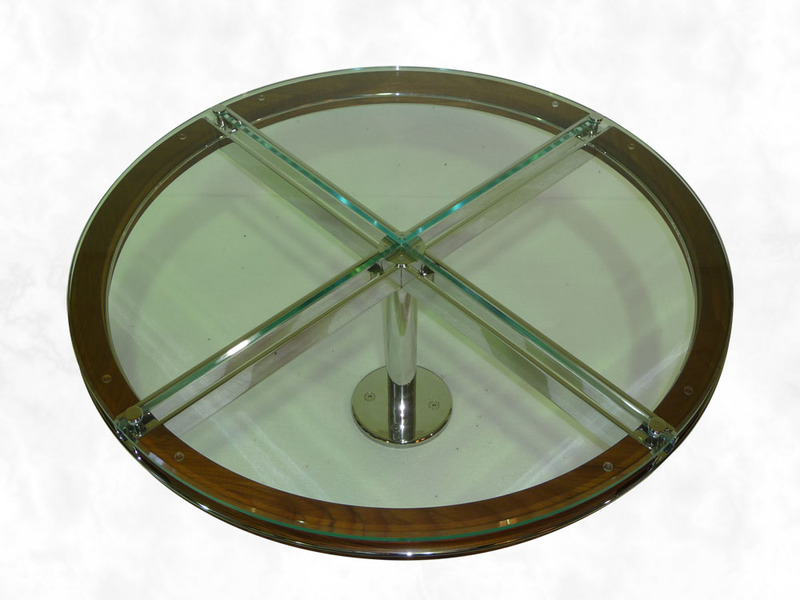 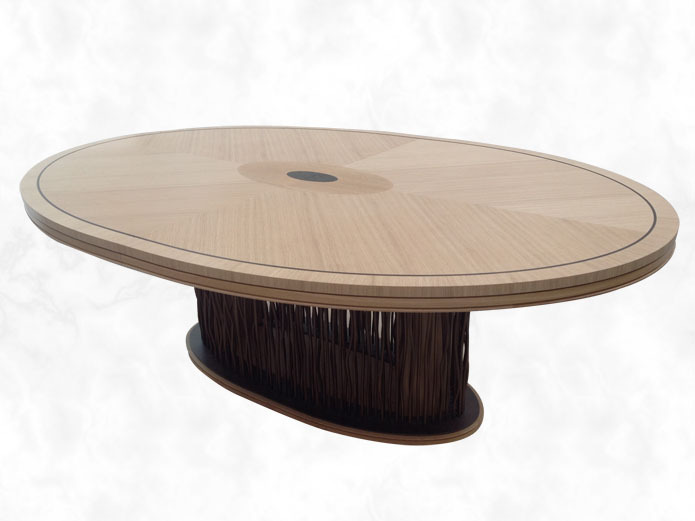 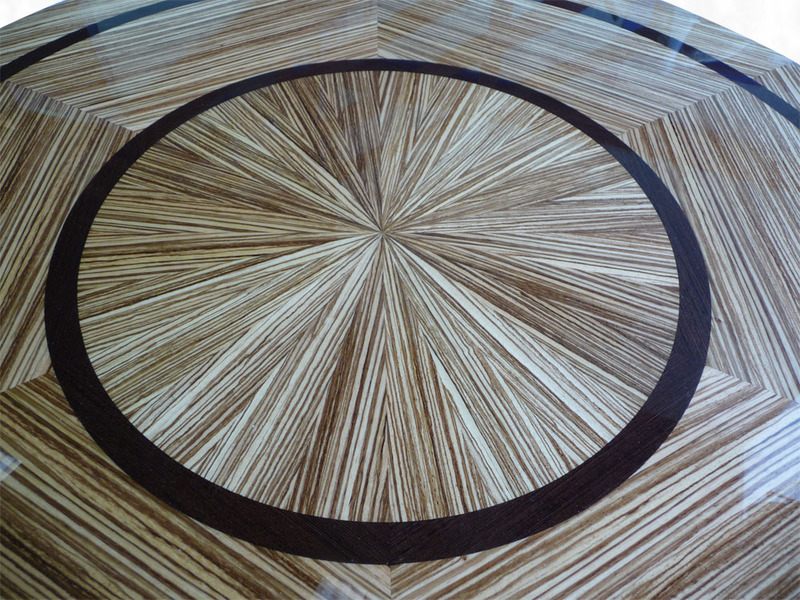 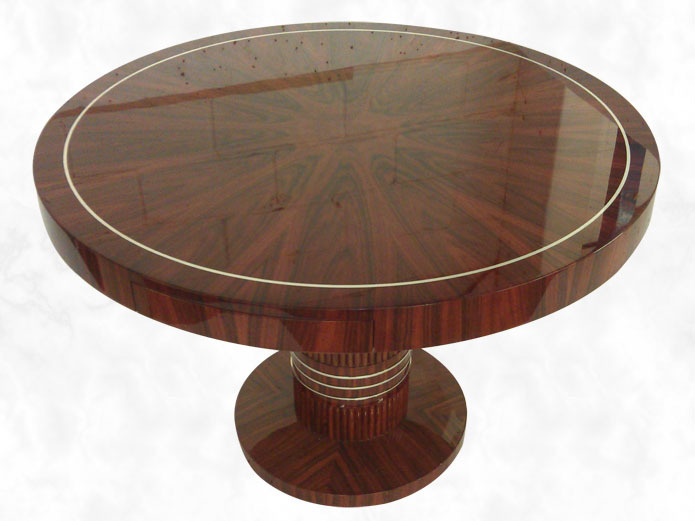 Dimensions of the table were 2.4m in diameter with a 1.2m diameter rise & fall ‘Lazy Susan’ in the middle. 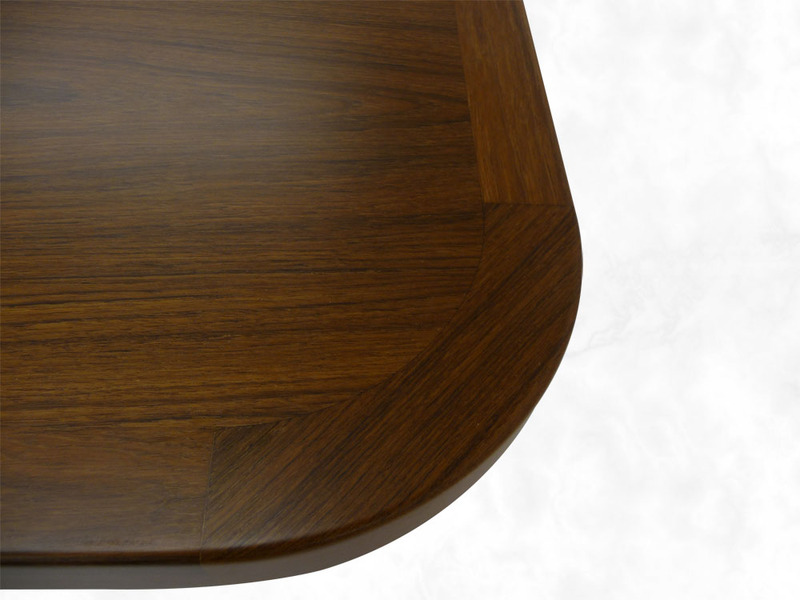 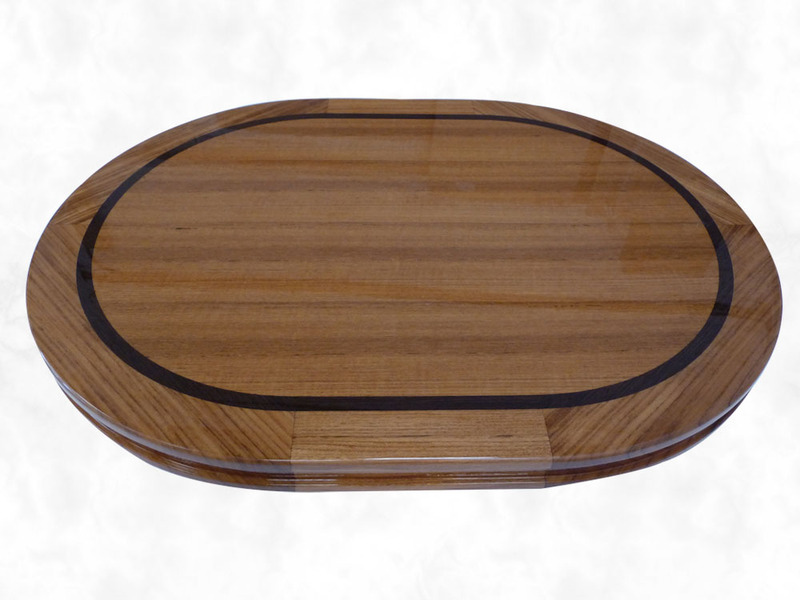 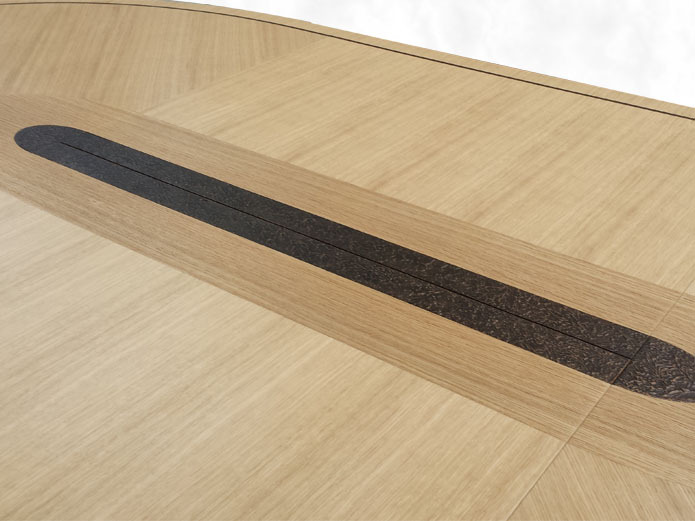 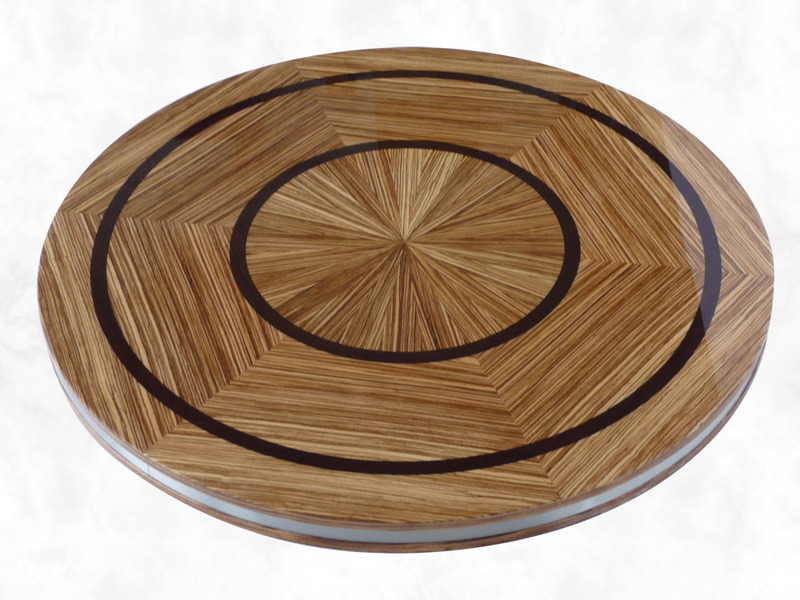 - The Sun Deck Dining Table was made in Solid Wenge Timber with Wenge & Zebrano Cross Banding Veneer with a faux Brushed Stainless Steel inlay to the top and polished to a high gloss finish with exterior Varnish. 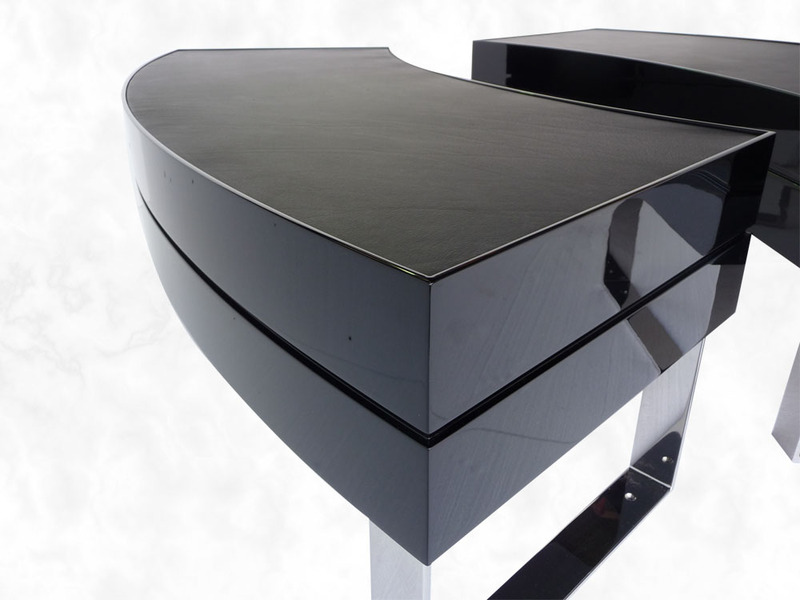 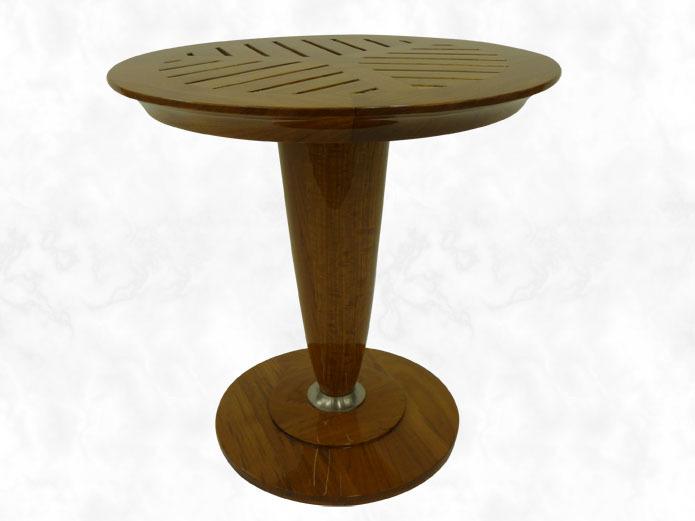 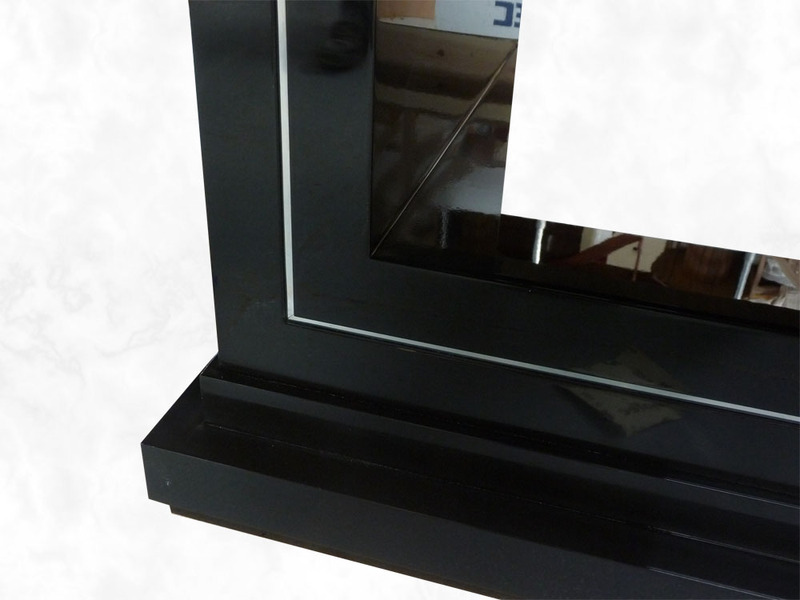 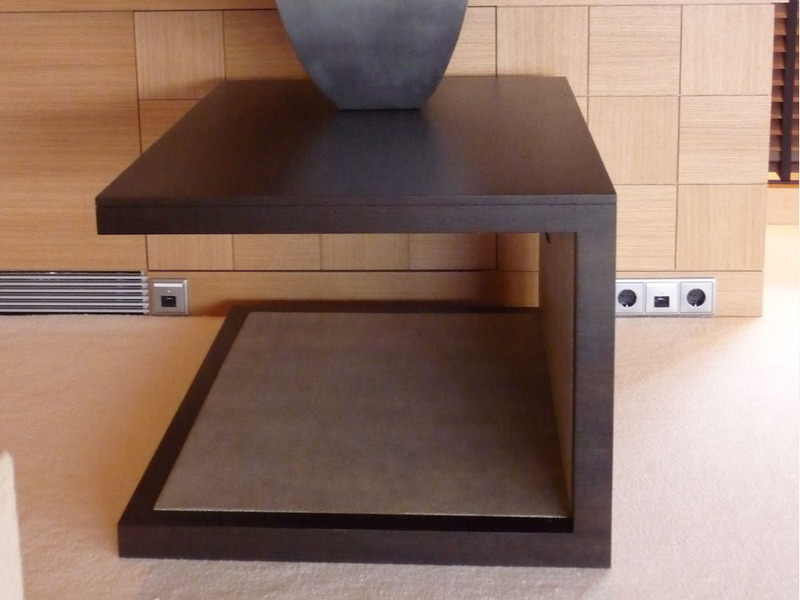 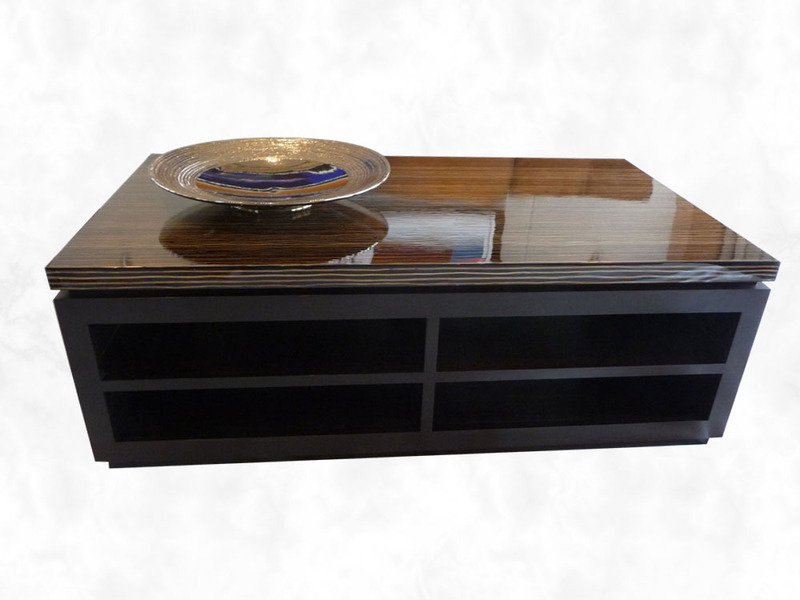 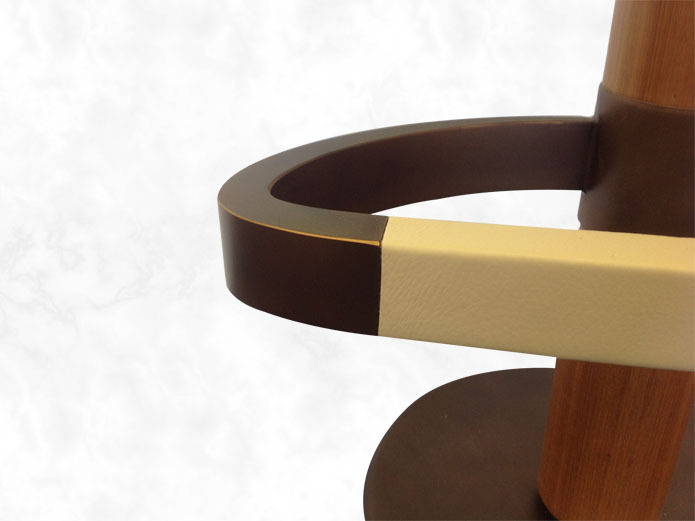 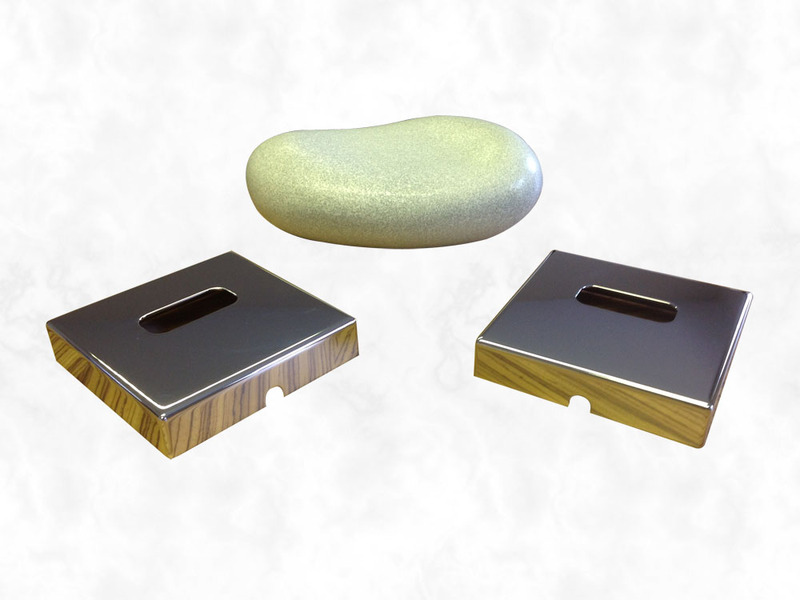 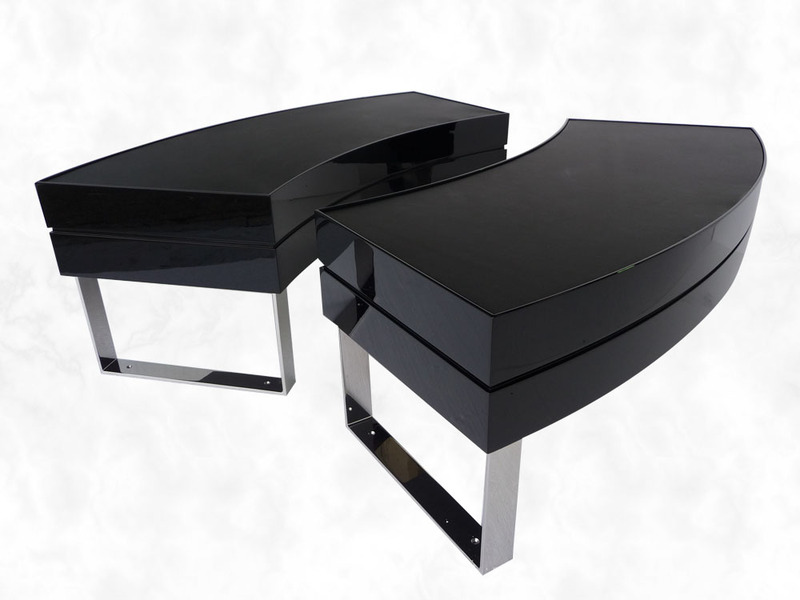 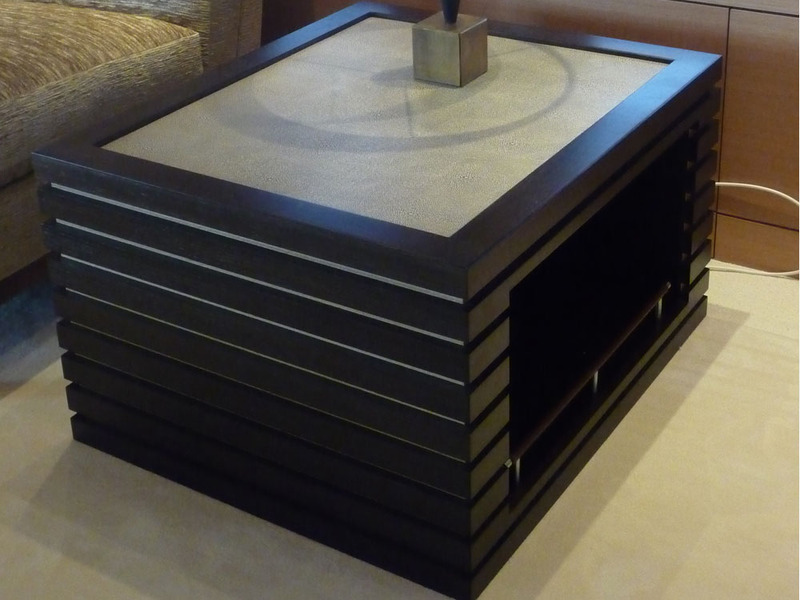 The Base was made in Wenge with Brushed Stainless Steel Pedestal Base. 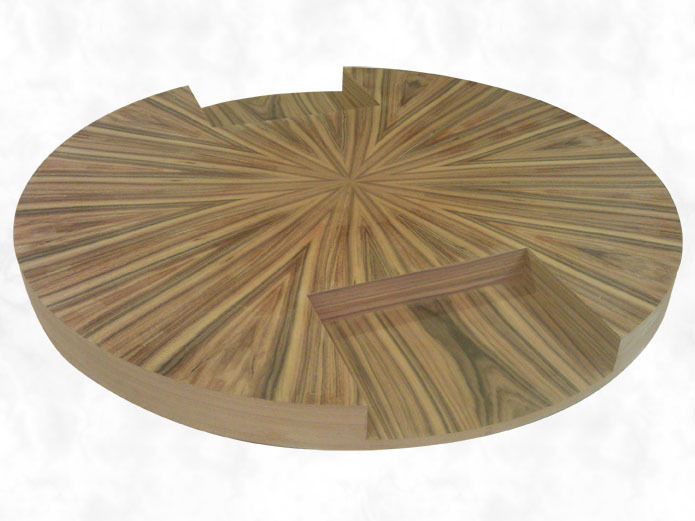 Dimensions of the table were 3.2m x 1.3m. 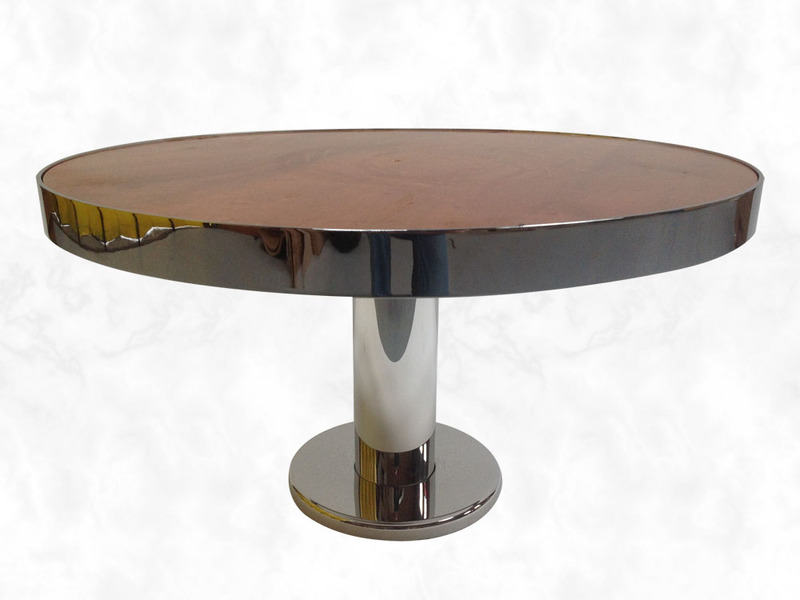 - The Interior Dining Table was made with 'Fumed Oak' Top with 'Antique Silver Leaf' Inlay top and polished to a high build Satin finish. 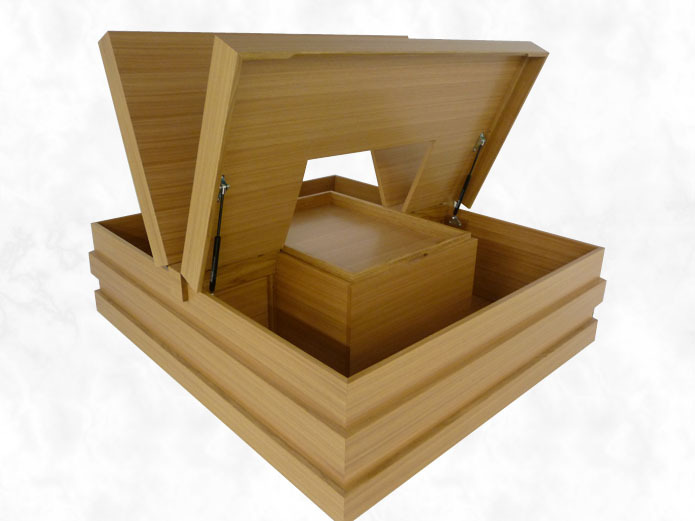 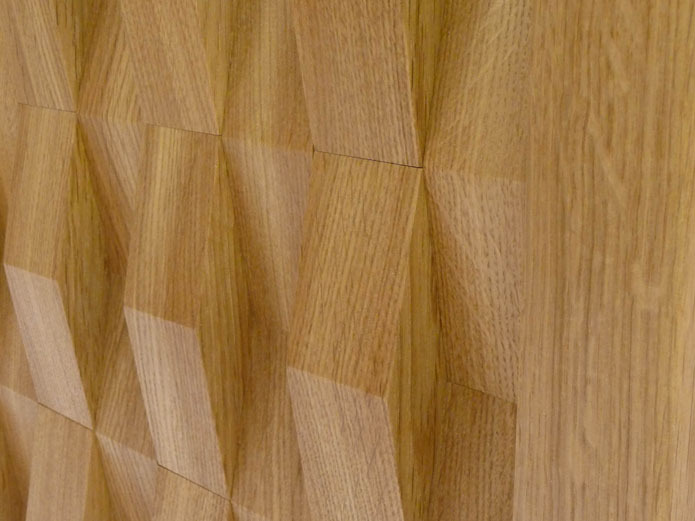 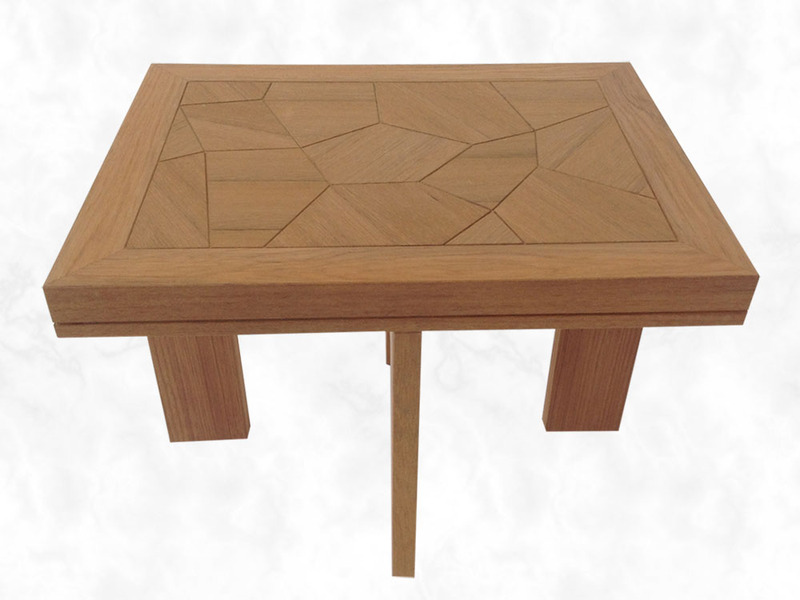 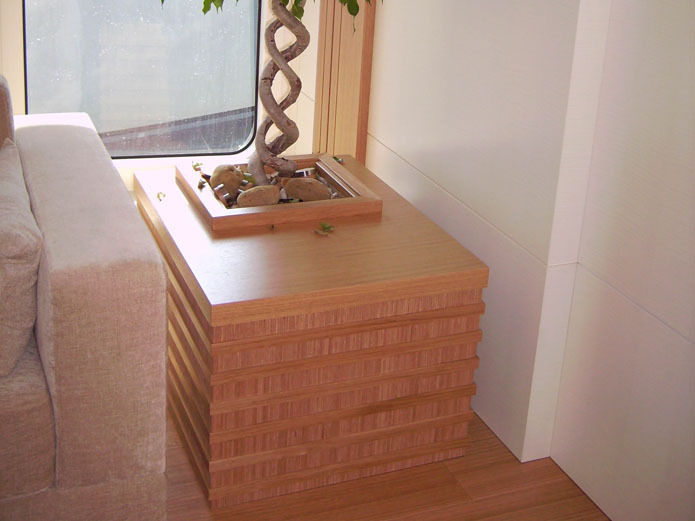 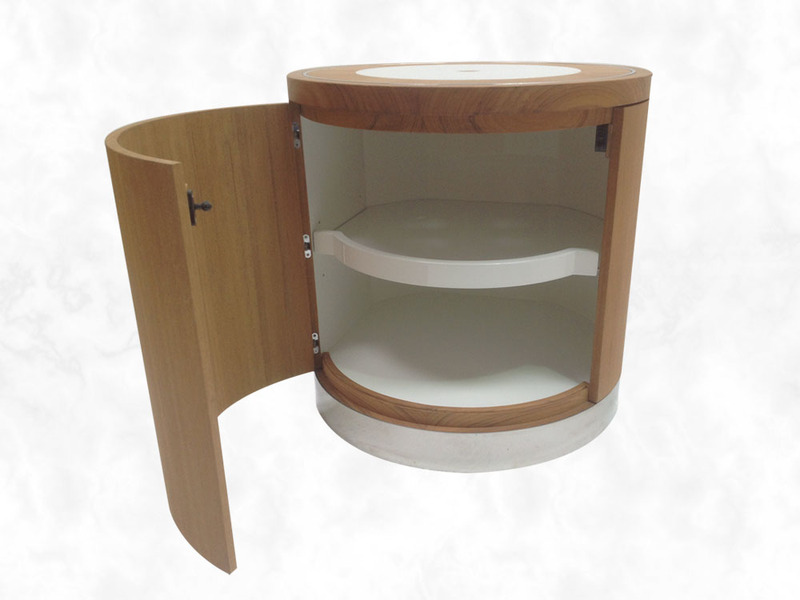 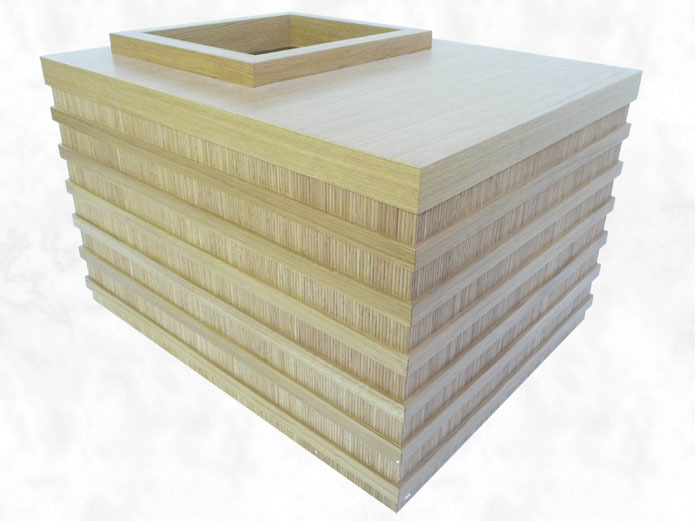 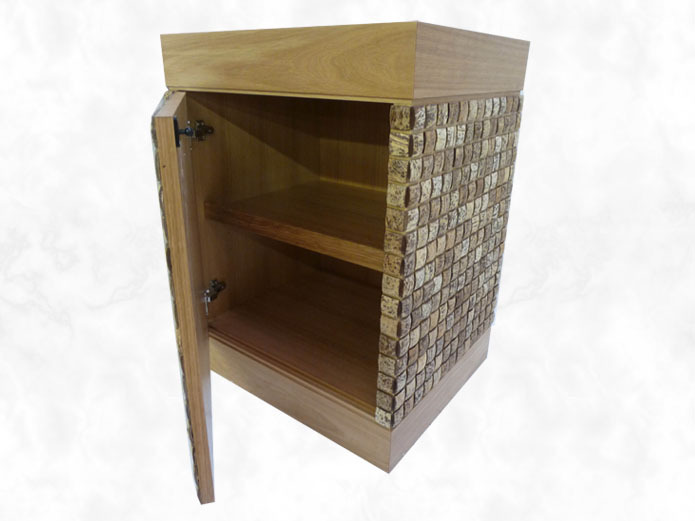 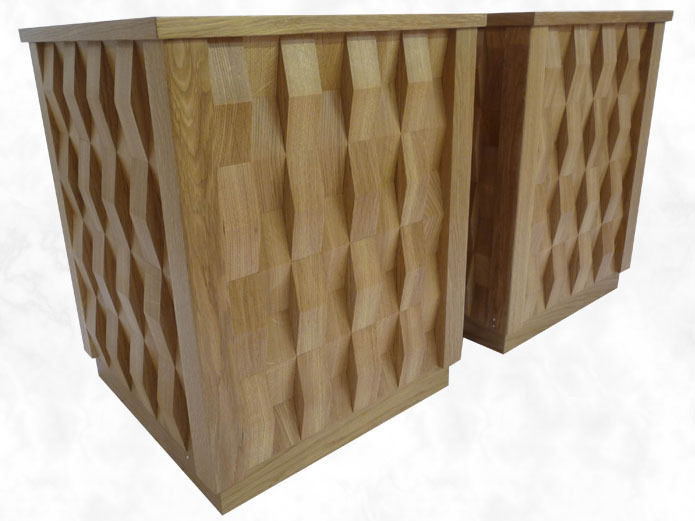 The base was designed to incorporate secret storage with Natural Oak Chequer Board detail. 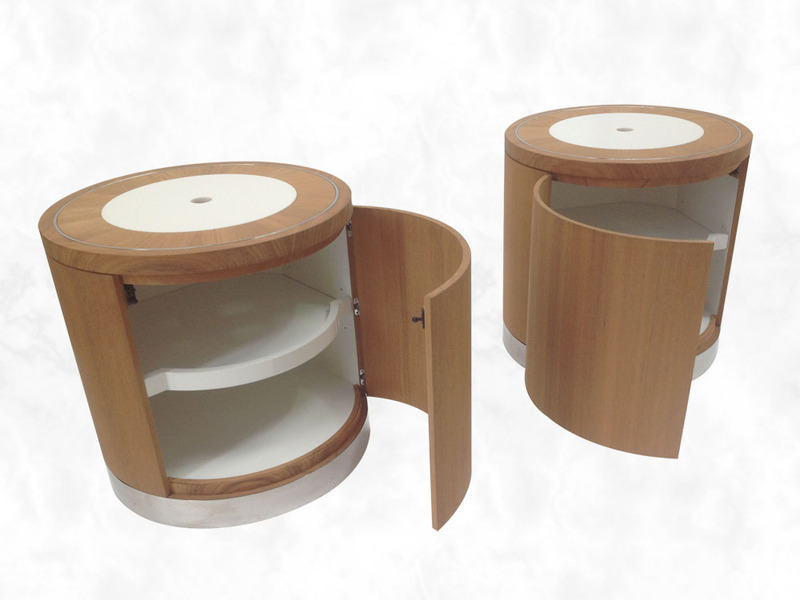 We were commissioned by Candy & Candy Designs and Viareggio Super Yachts to manufacture 16 items of Exterior & Interior Loose Furniture. 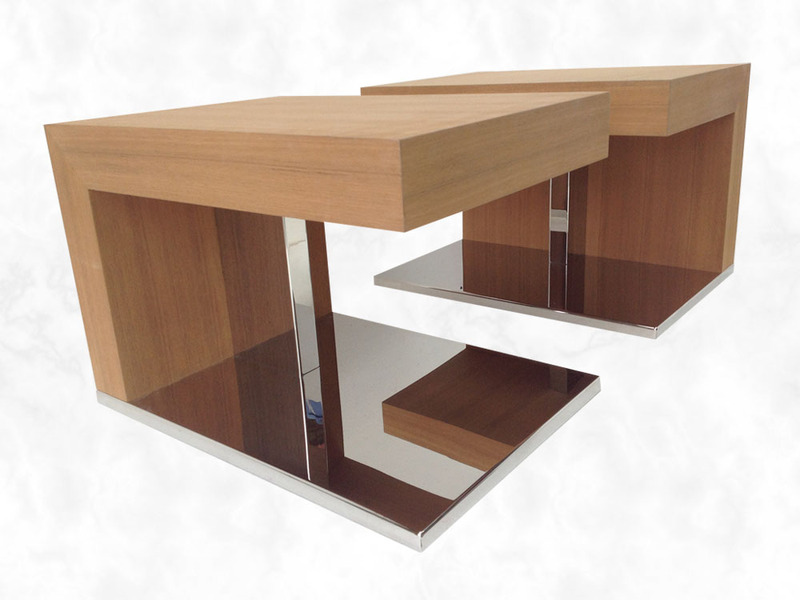 The specification from the Designers was for the Exterior Tables & Bar Tops to look like they were floating. 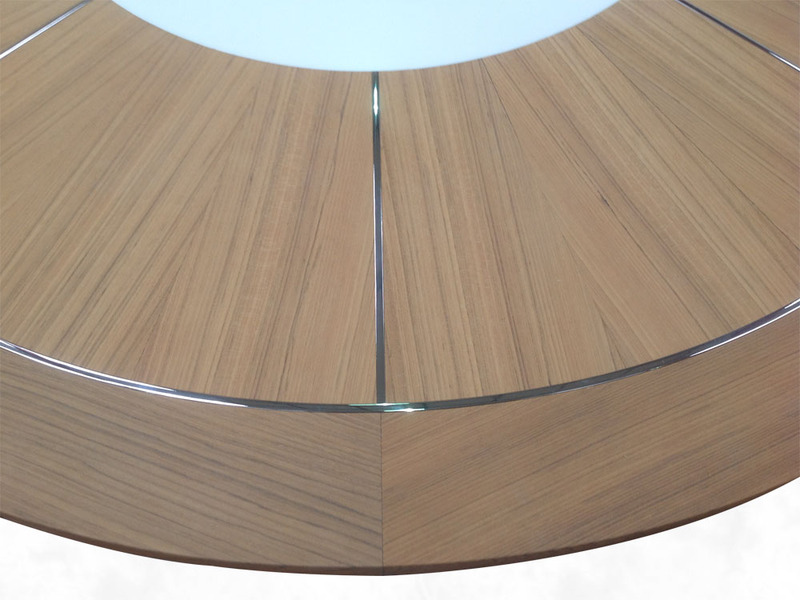 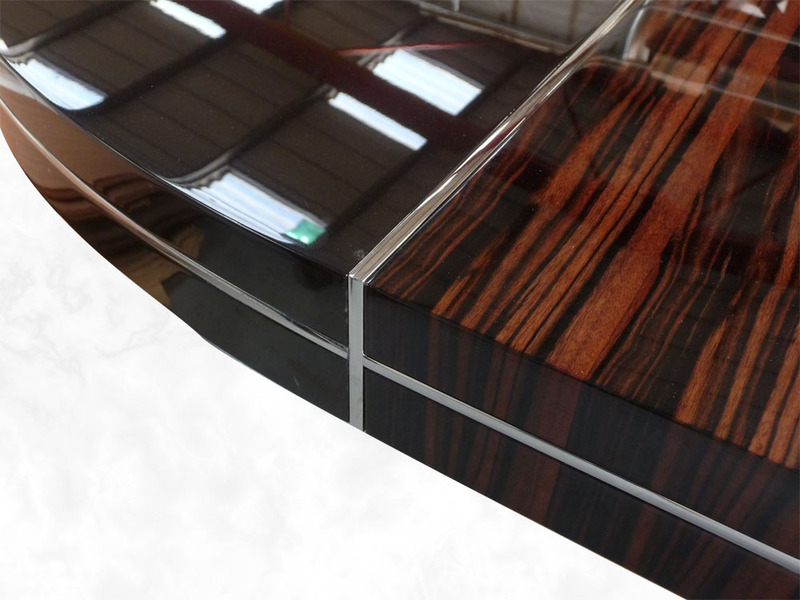 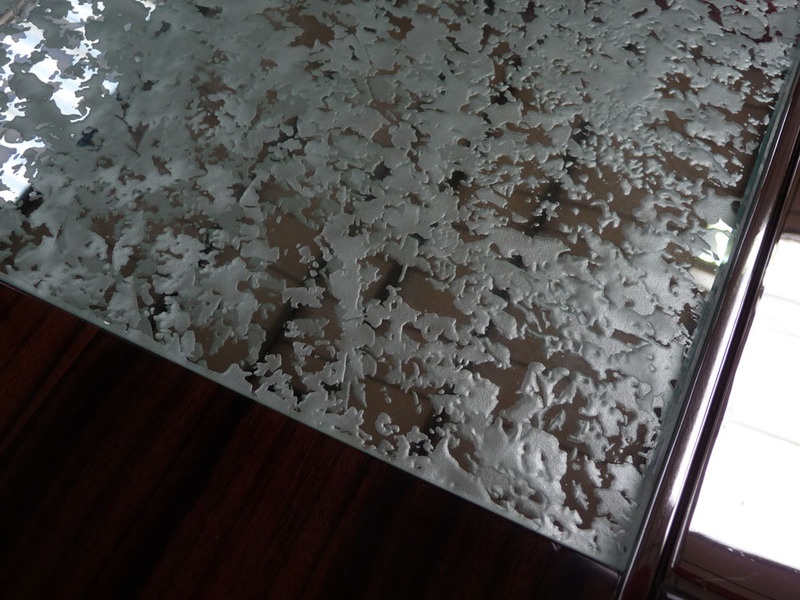 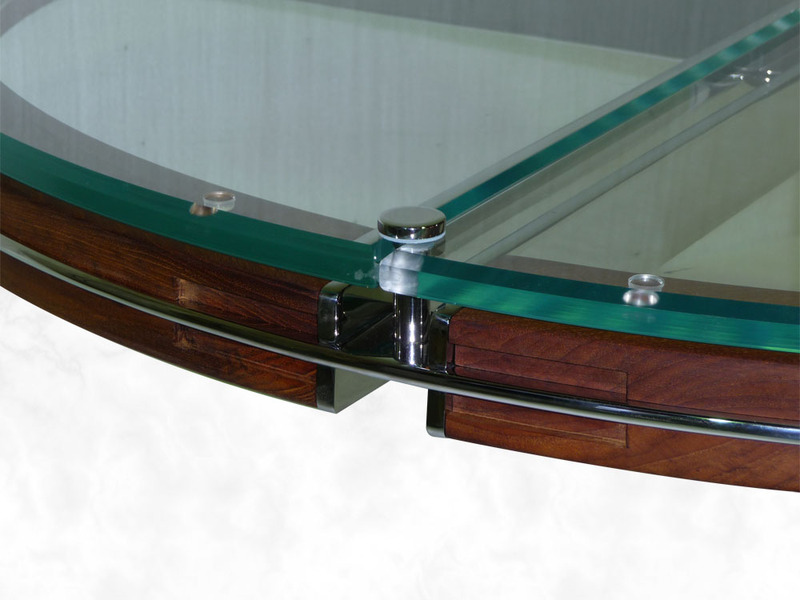 From the Design Brief we designed and developed a construction method utilising Polished Stainless Steel, Glass & Teak that gave this effect without compromising on strength or safety. 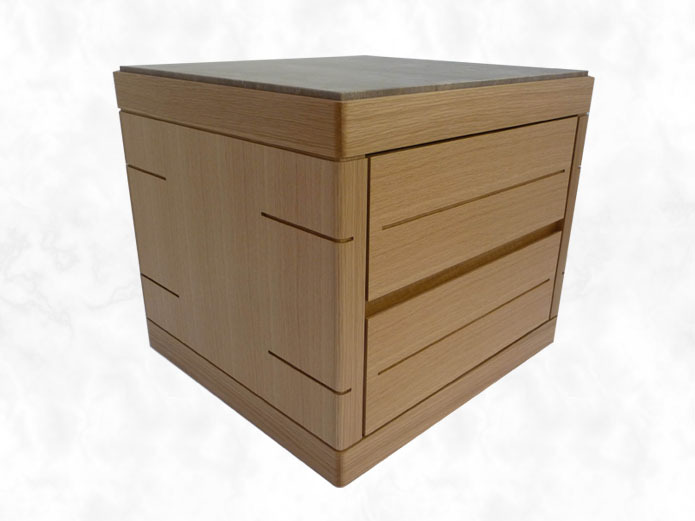 The Cabinet Legs, Handles for the Drawers & Doors were custom made to meet the clean lines required in the design. 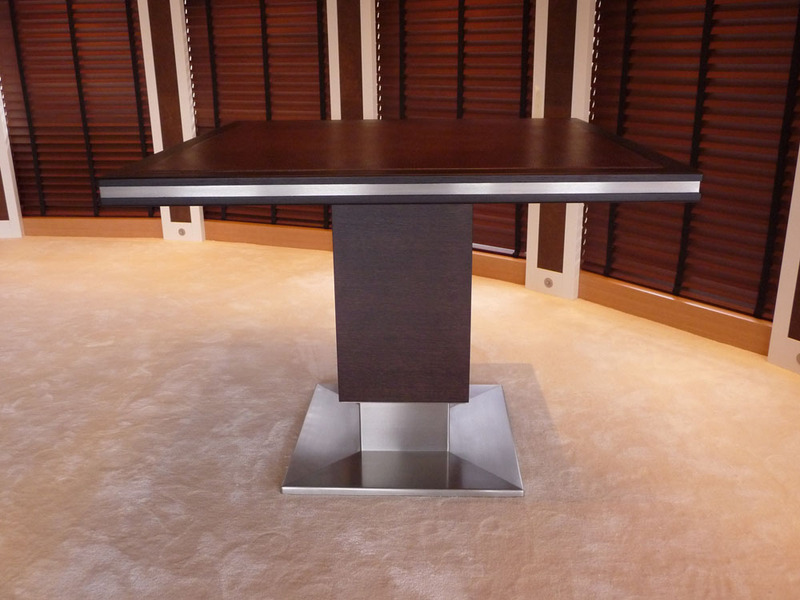 The Interior Quadrant Tables were finished in High Gloss Polyester Lacquer with Leather insert top fitted to Custom Stainless Steel Legs. 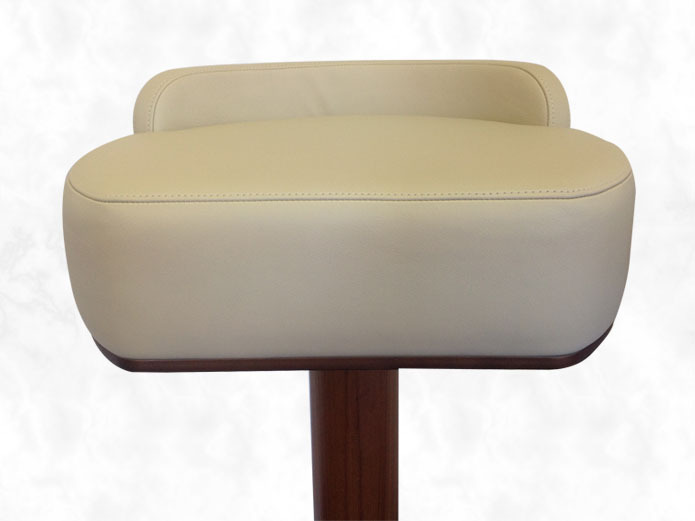 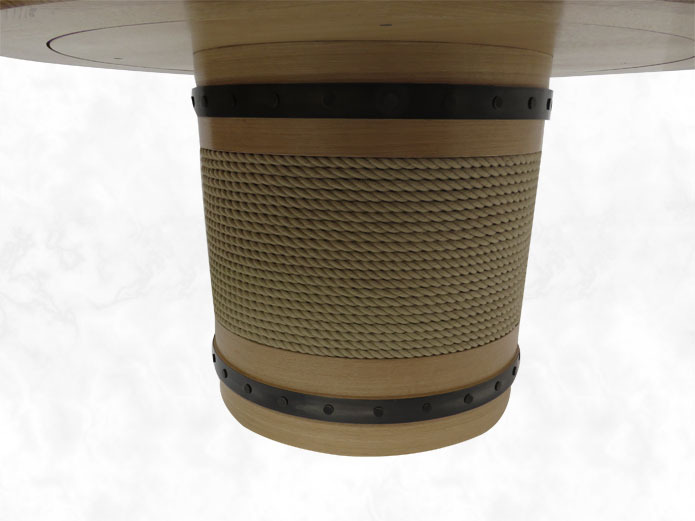 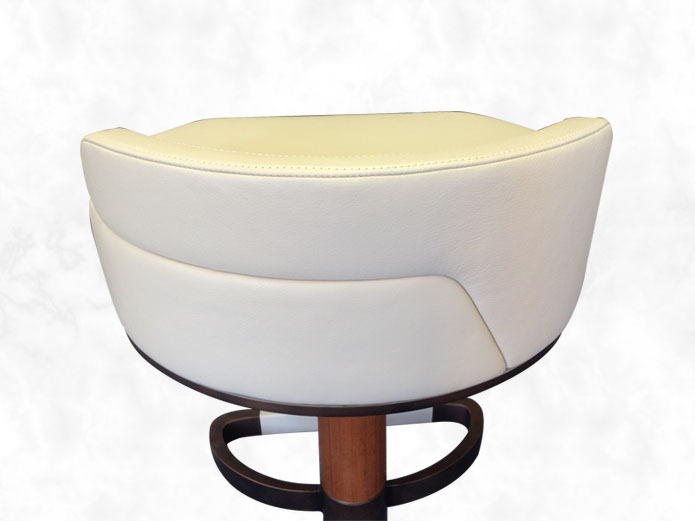 Between the Tables an Upholstered ‘S’ Shaped Seat Unit was made. 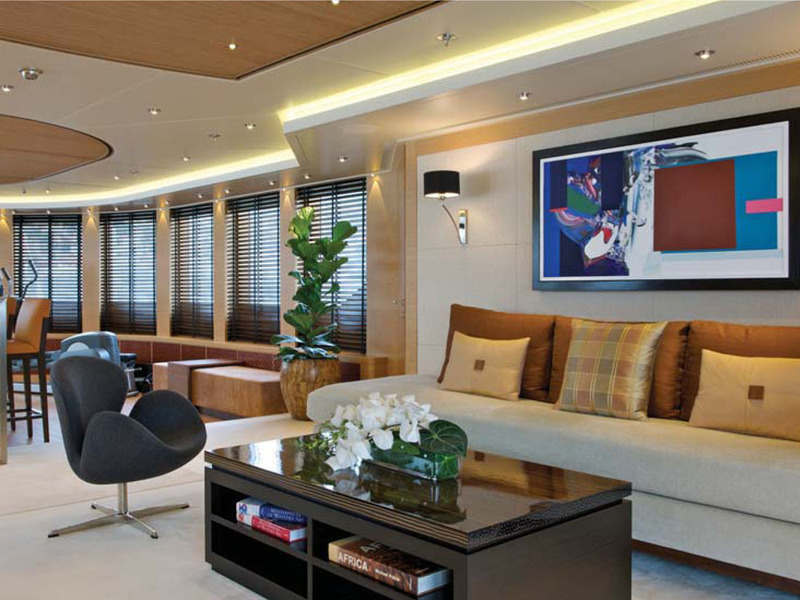 This refit was carried out with Pendennis Shipyard. 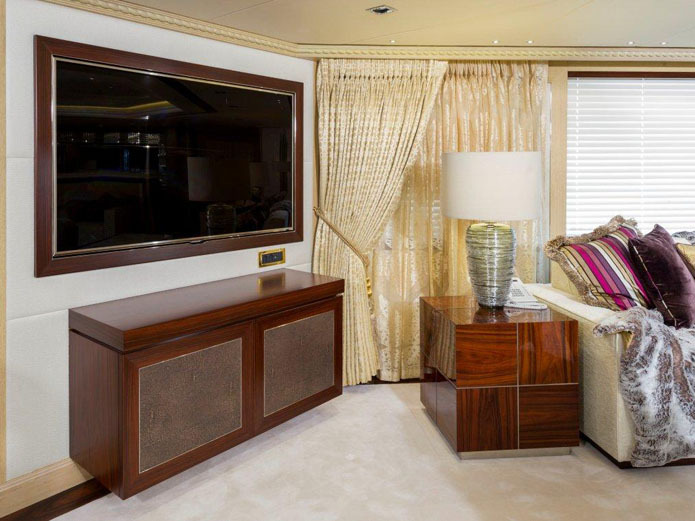 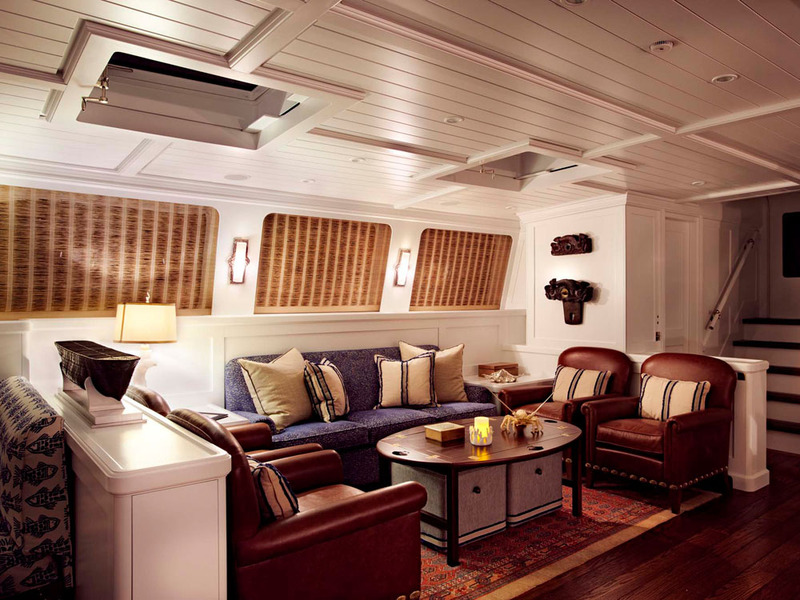 The 2 Aft Guest Cabins were replaced to a new design and were manufactured in modular format at Parkway Interiors workshops prior to installation at the Shipyard. 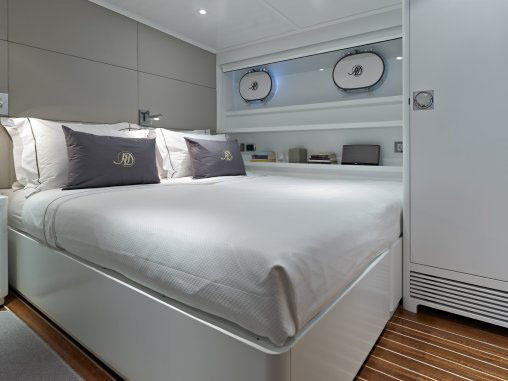 The Beds were designed to be able to be moved and sea fastened to enable single or double Berth sleeping with the Bedside Table moving to suit. 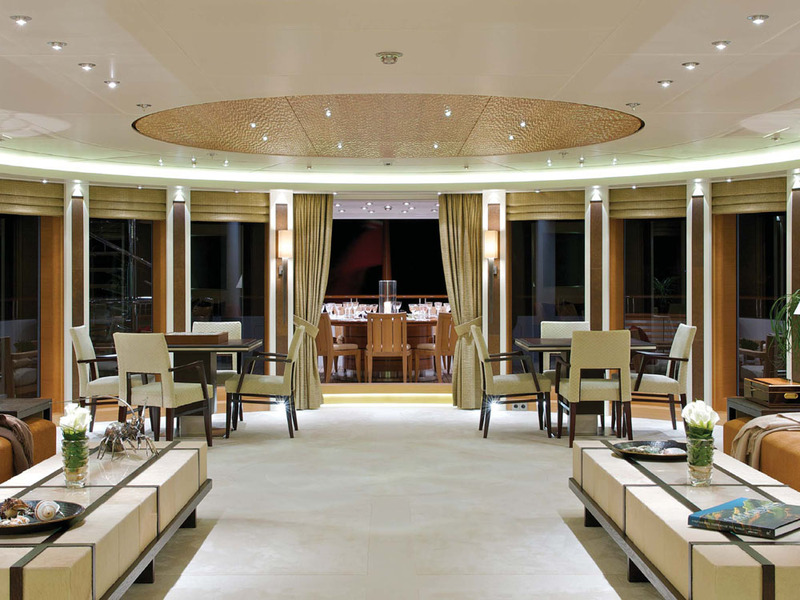 In addition all of the Deckheads throughout the vessel were replaced with new to enable new lighting arrangement to be set out. 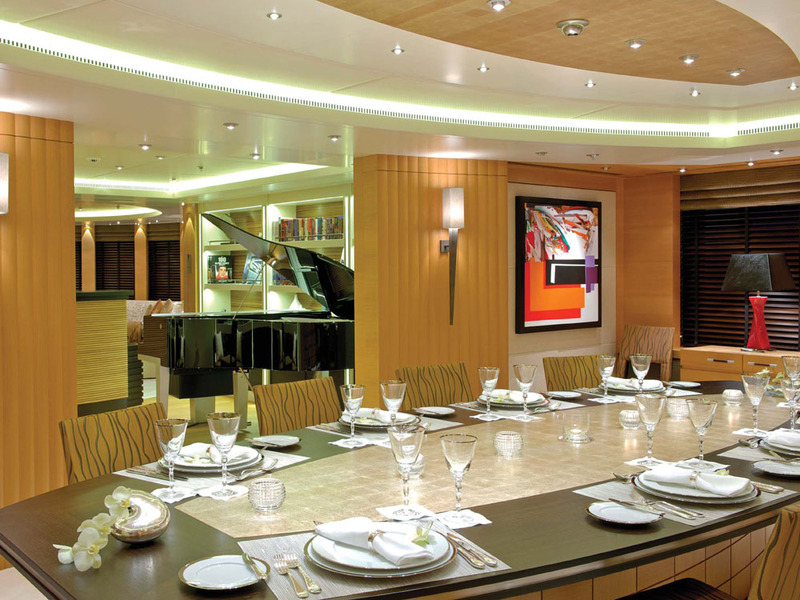 The Main Dining Table was designed and finished as a multi-functional piece of furniture, able to be used both internally & externally to make the most of the space on the vessel. 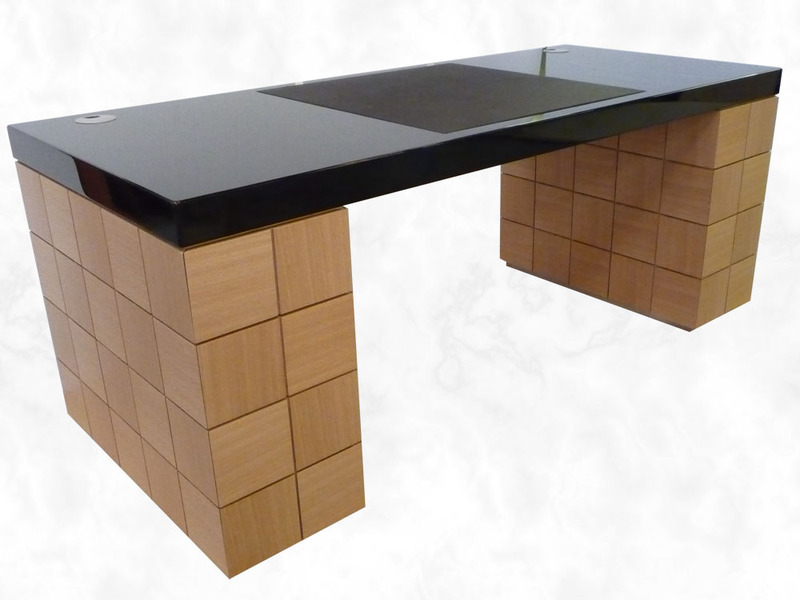 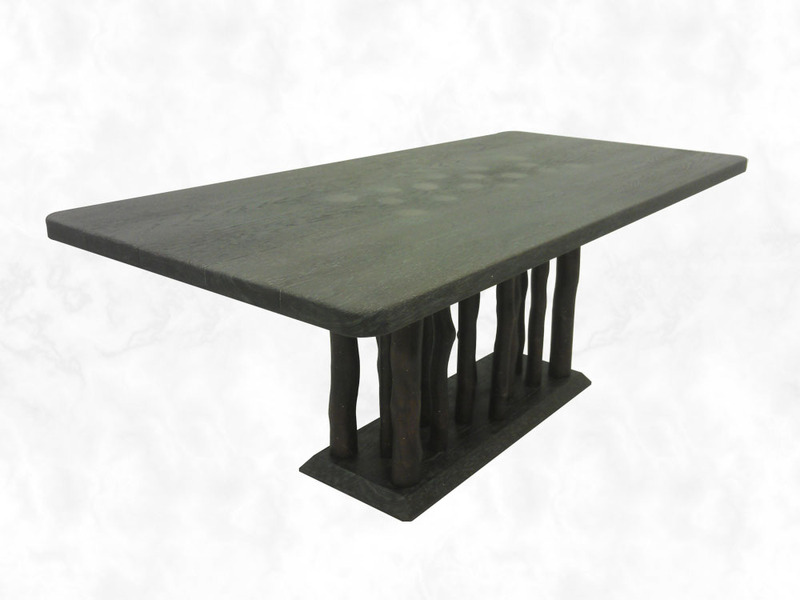 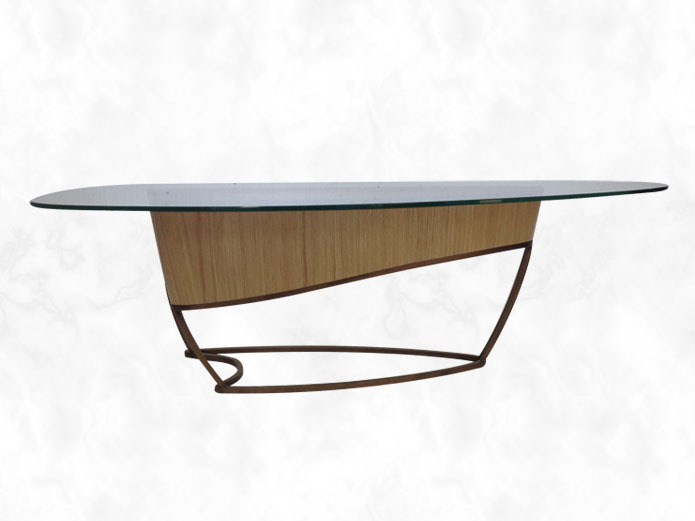 The Table was made to be able to be dismantled to allow for use as Single Tables or as Extended Dining in both areas. 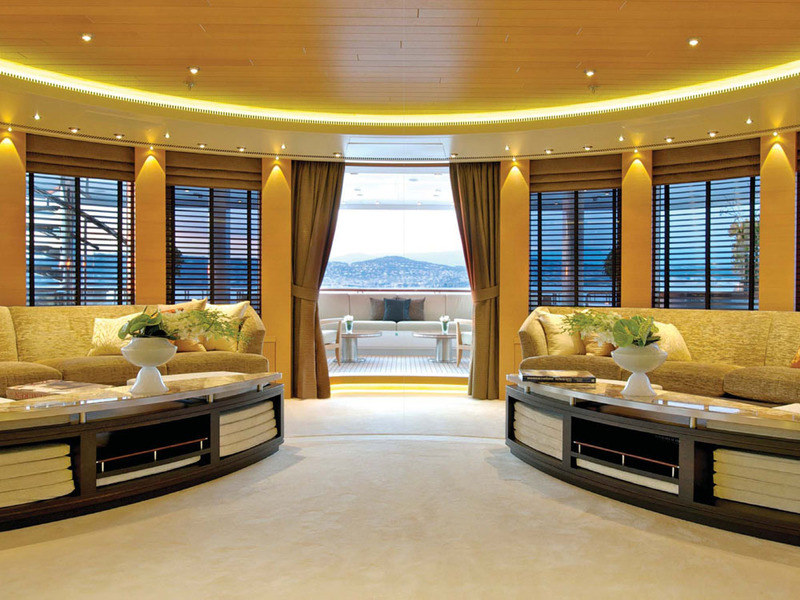 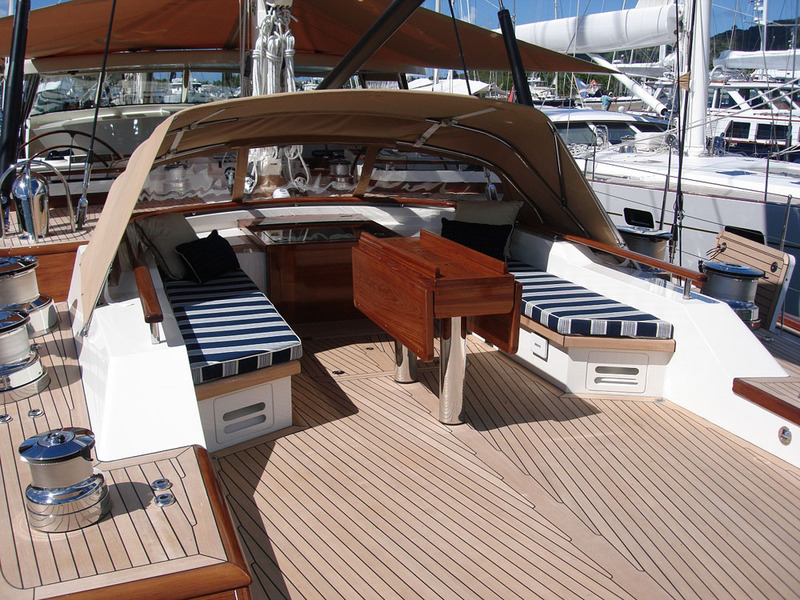 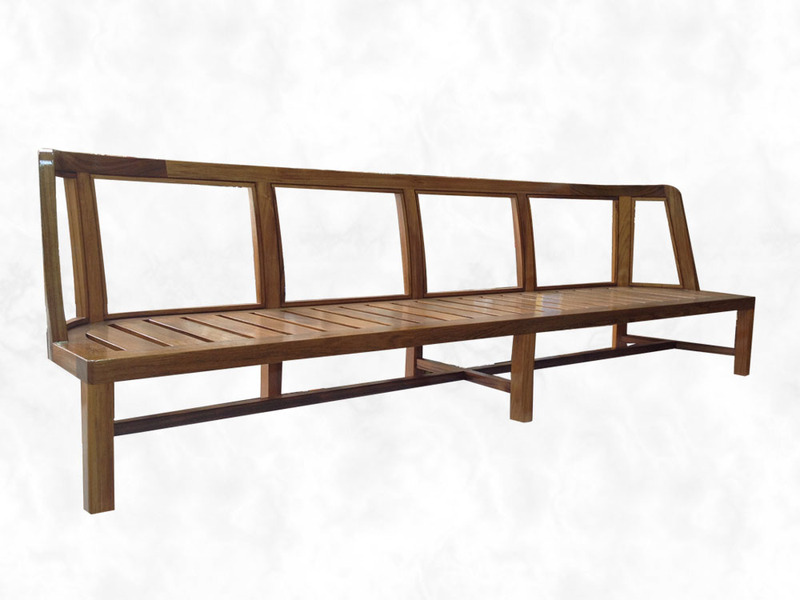 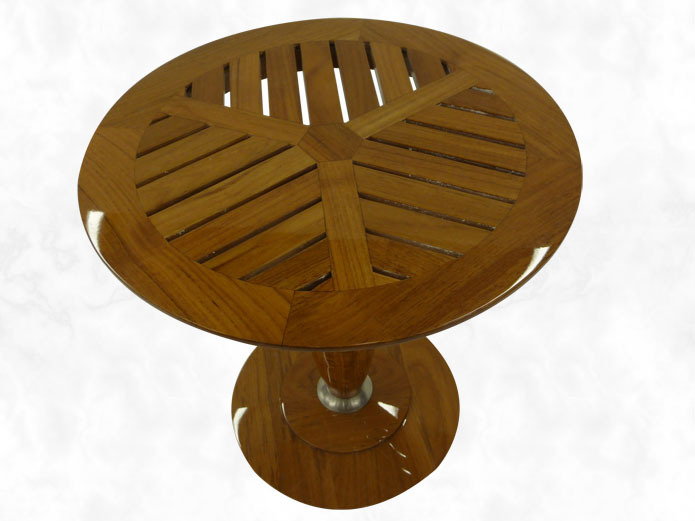 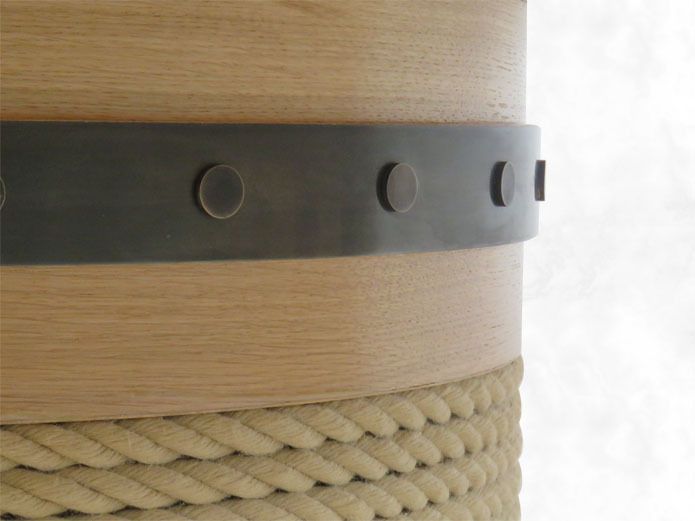 We were commissioned by Pendennis Shipyard to manufacture 10 pieces of Exterior & Interior Loose Furniture. 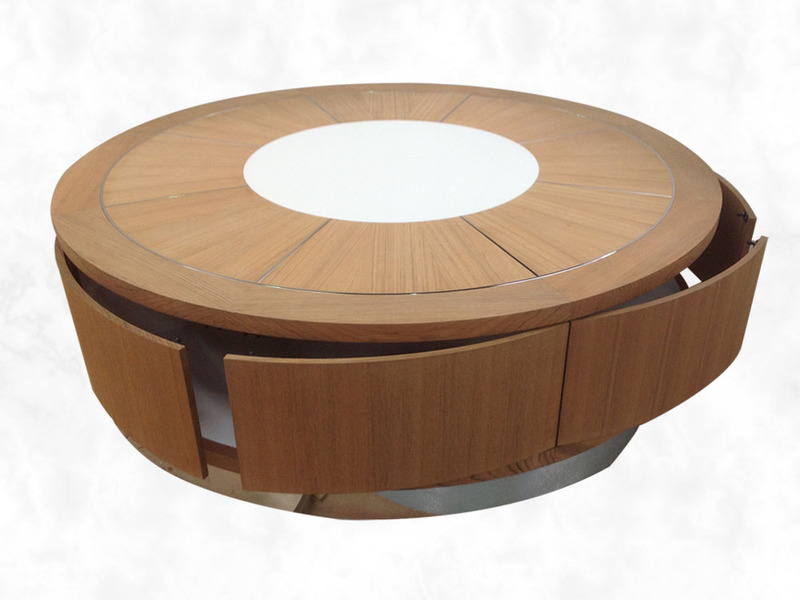 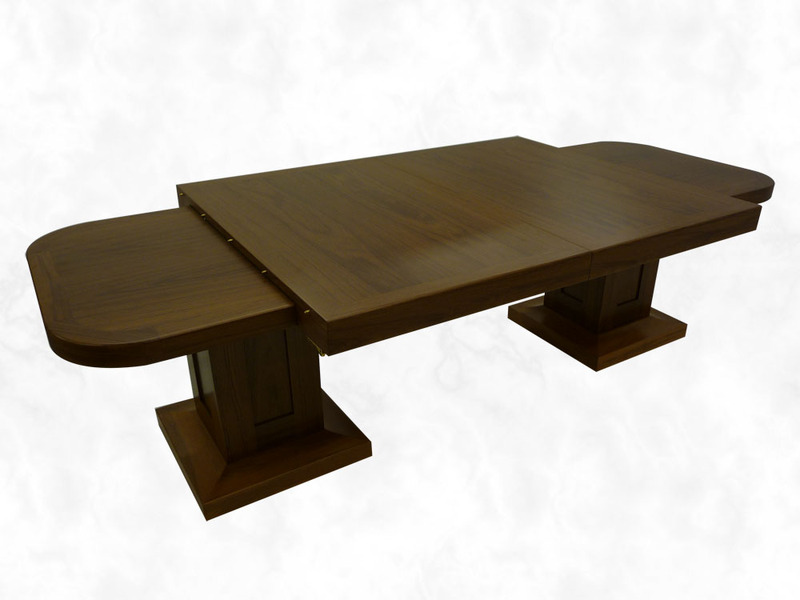 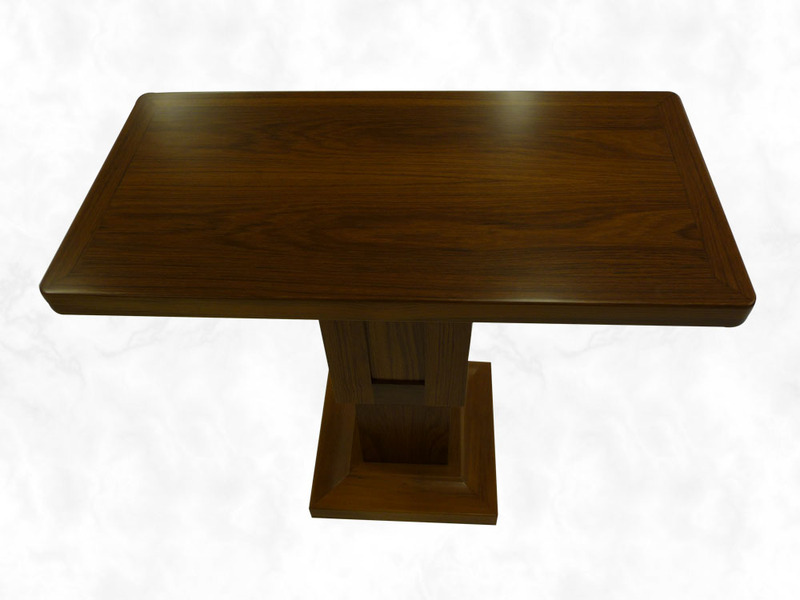 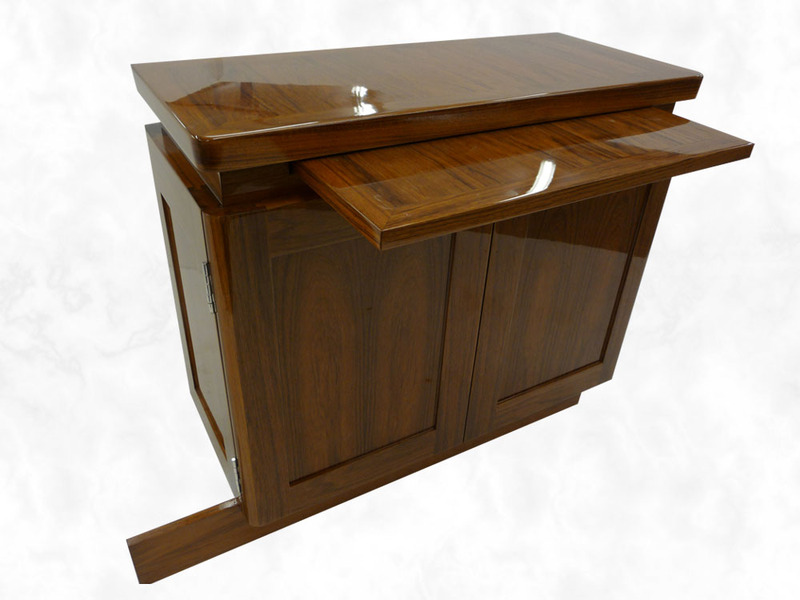 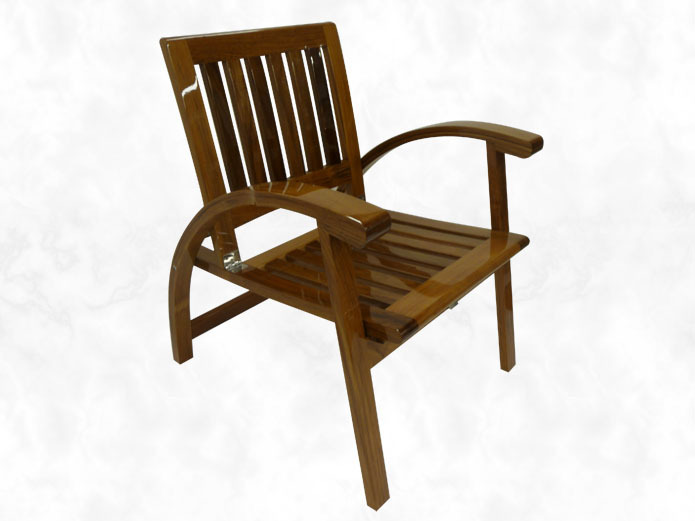 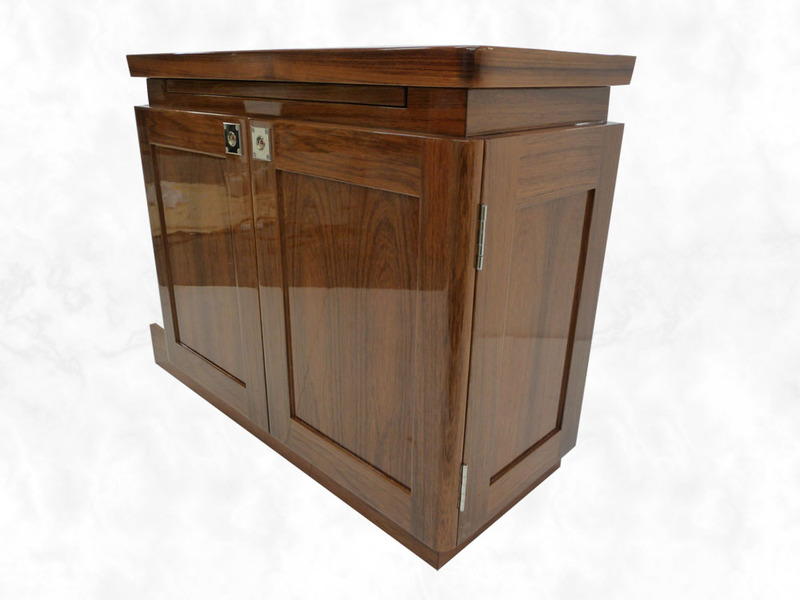 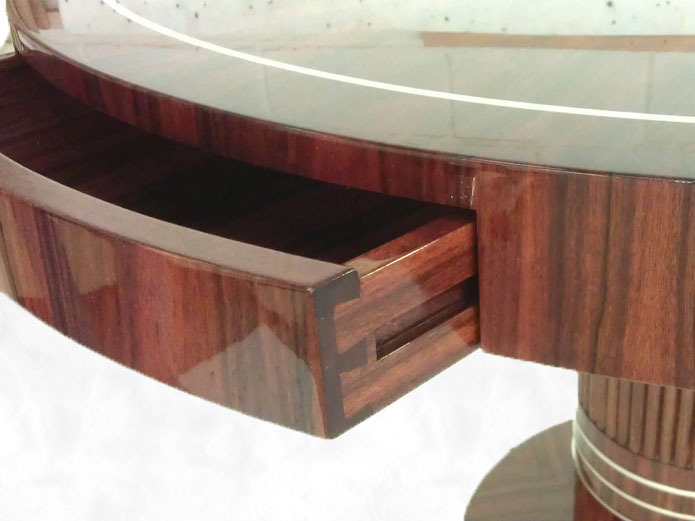 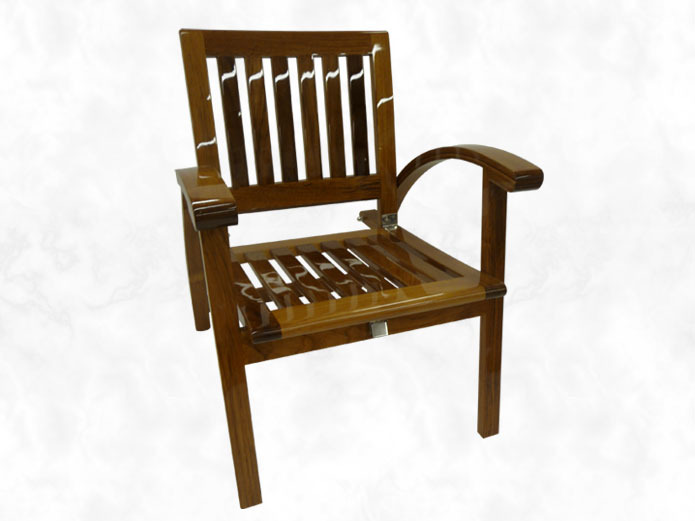 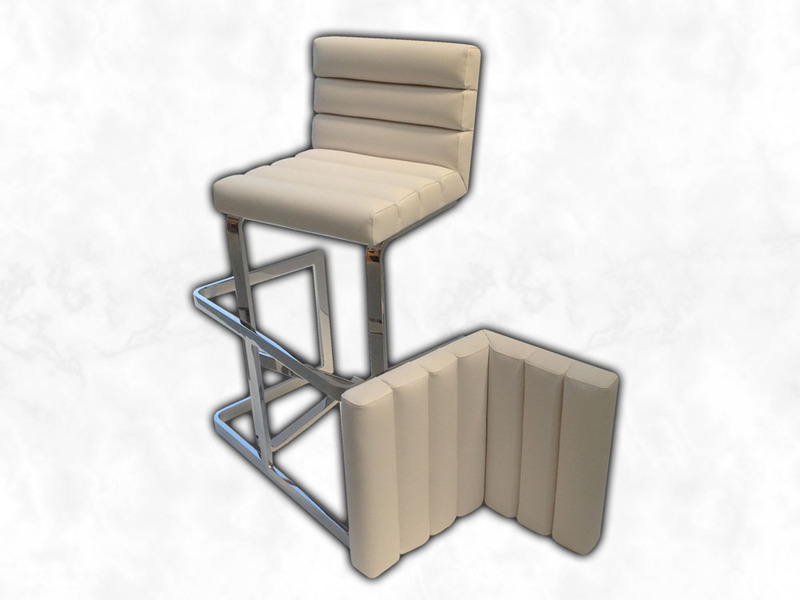 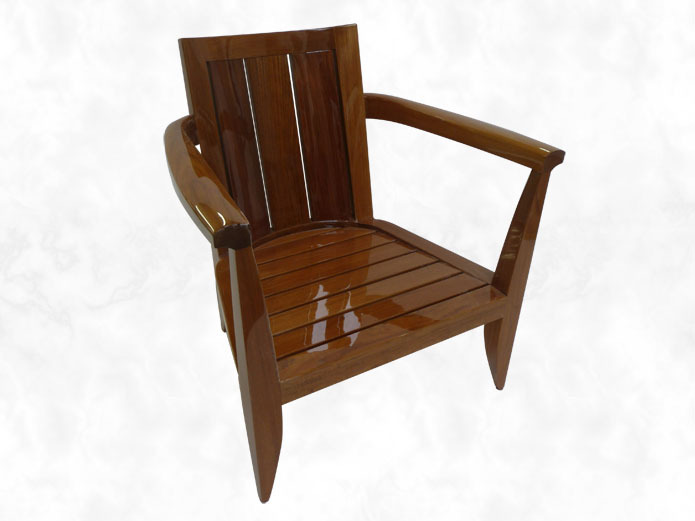 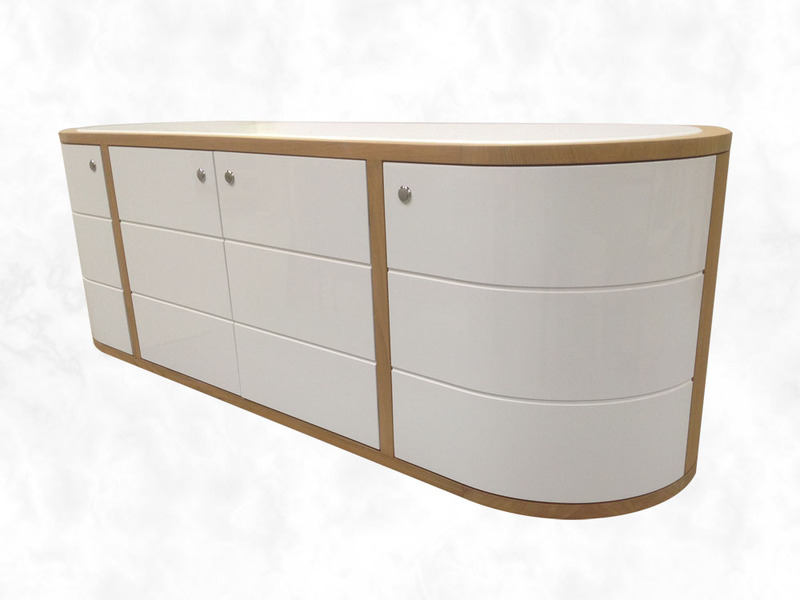 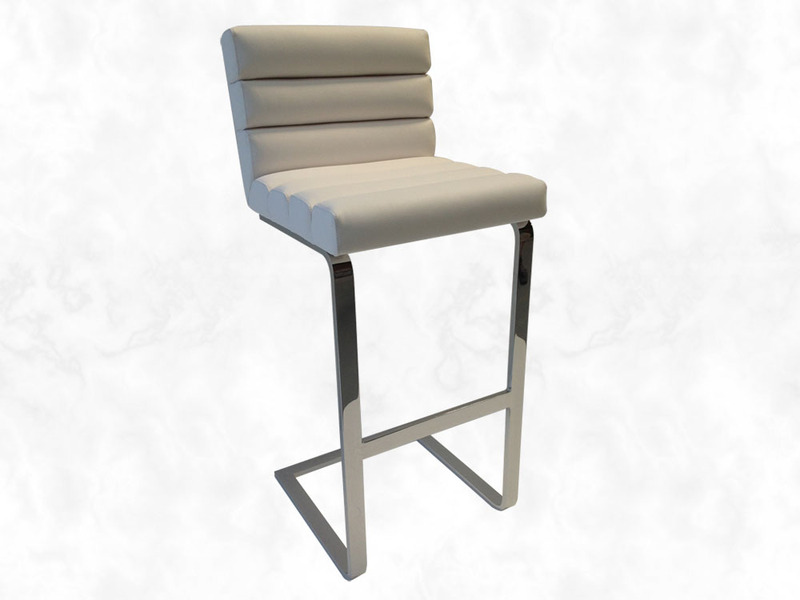 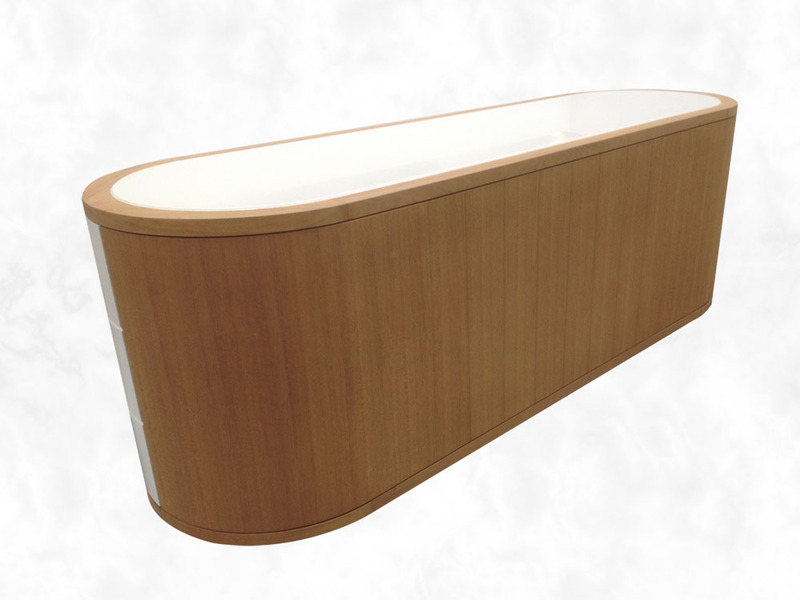 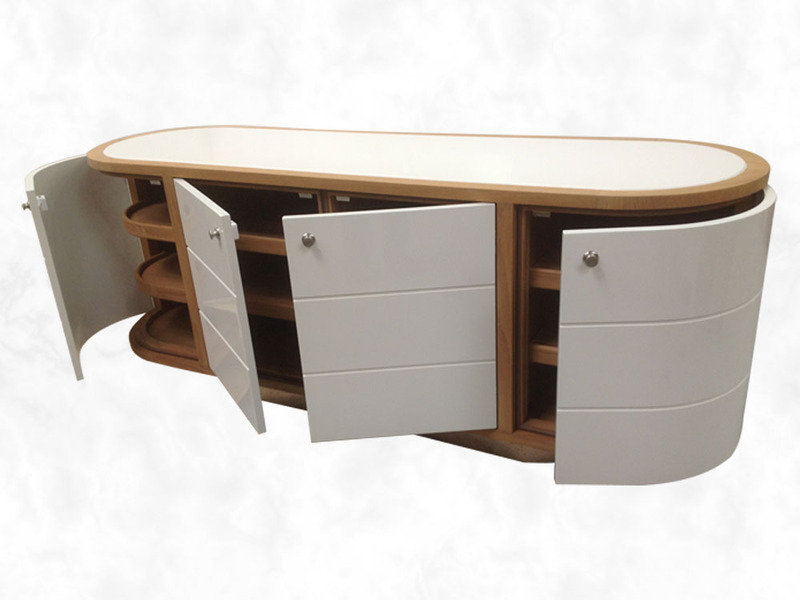 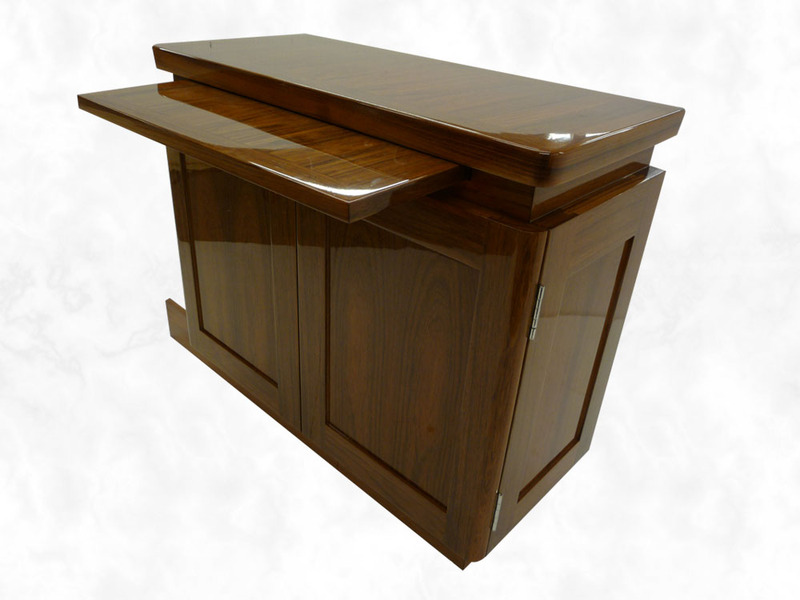 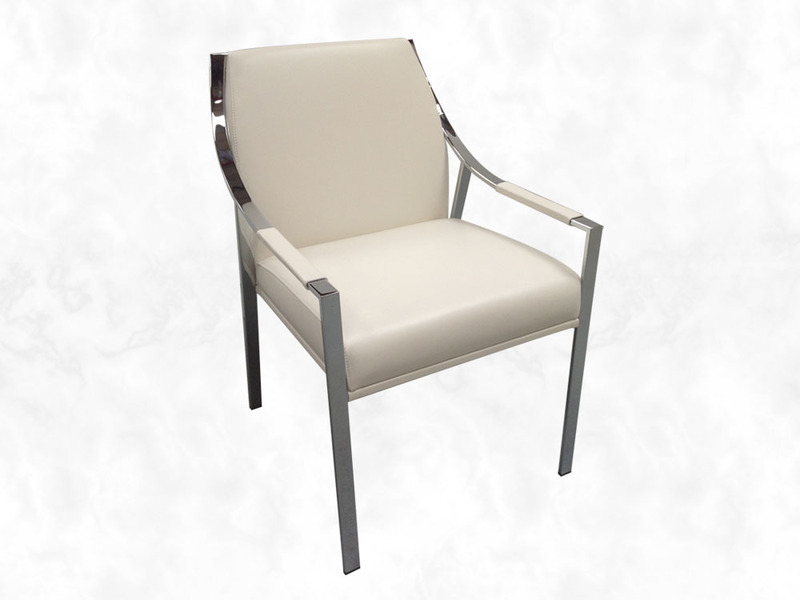 The furniture was manufactured in solid Teak Timber & Veneer and finished in High Gloss Exterior Lacquer & High build Satin finish for the Interior. 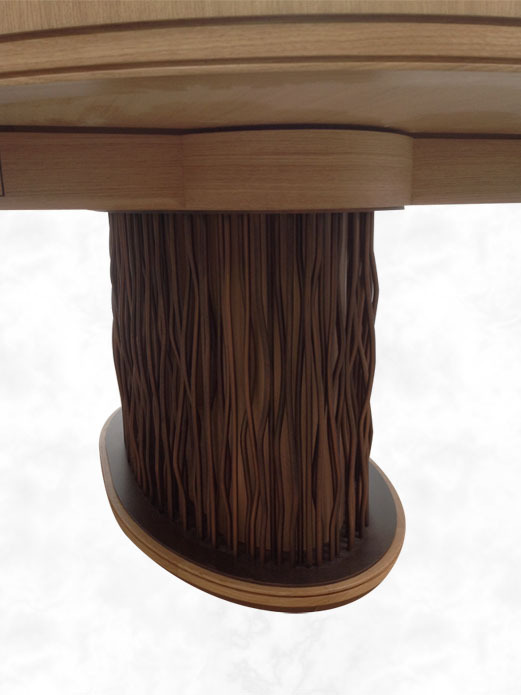 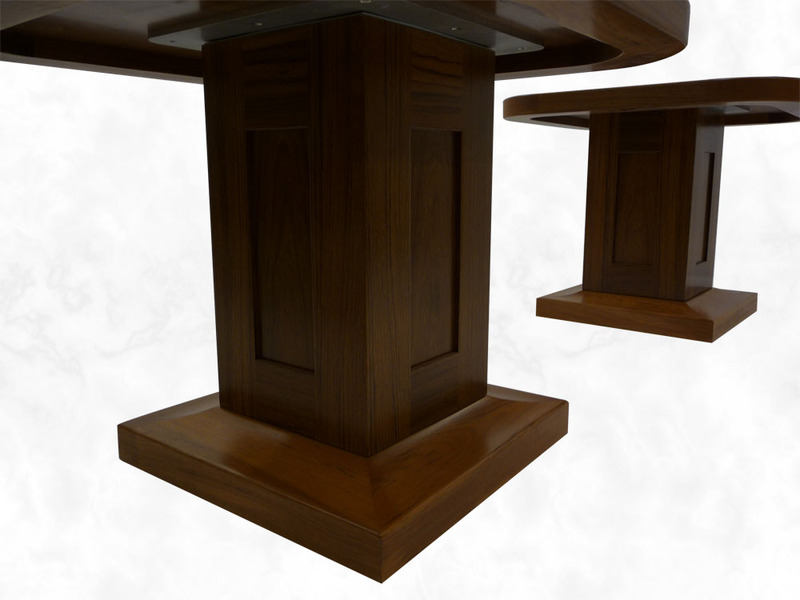 The Tables were designed to enable them to be used as Coffee Tables and Dining Table with rise & fall mechanisms fitted into the bases to enable the transfer of height to be made. 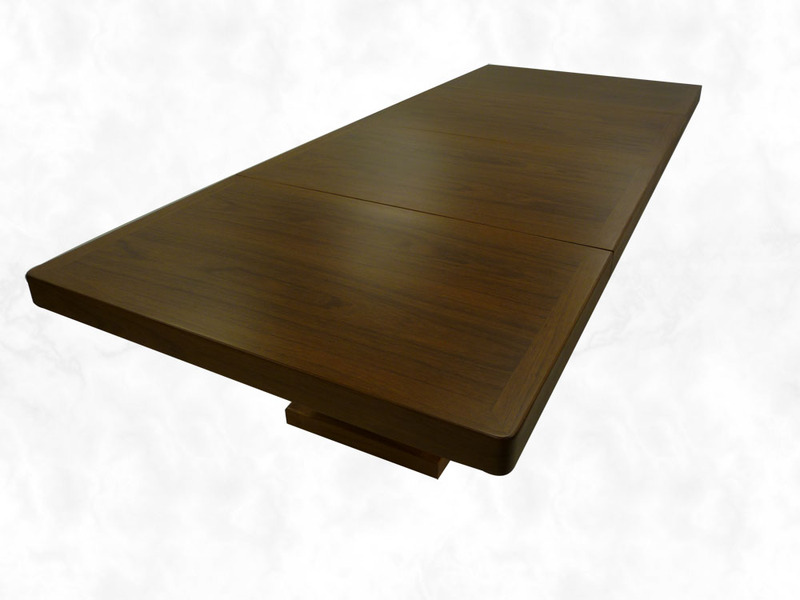 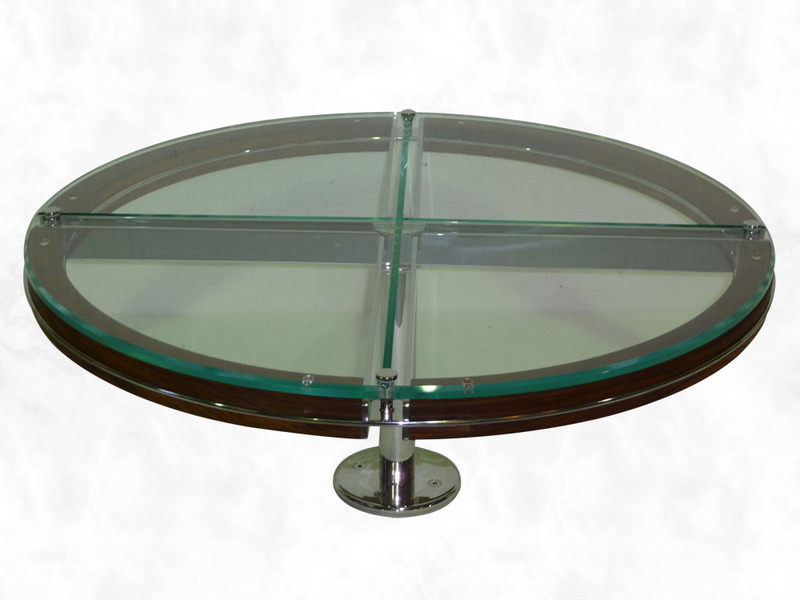 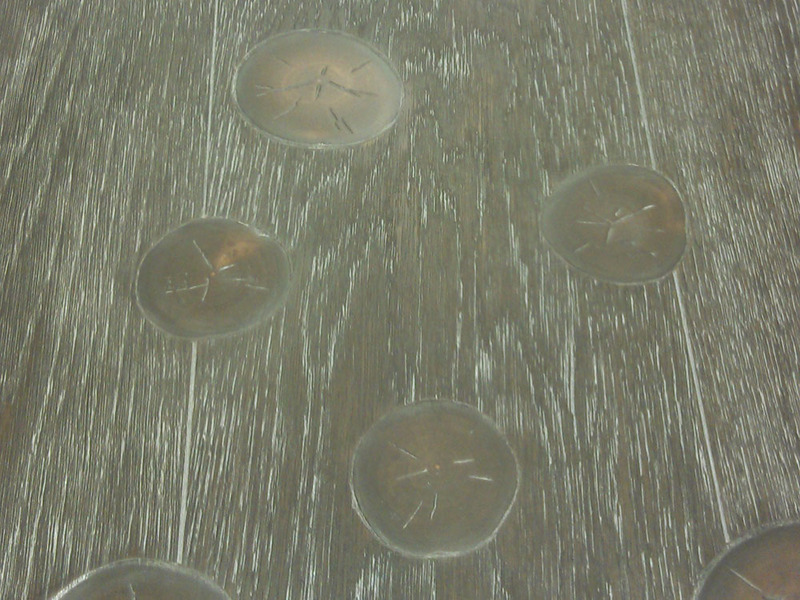 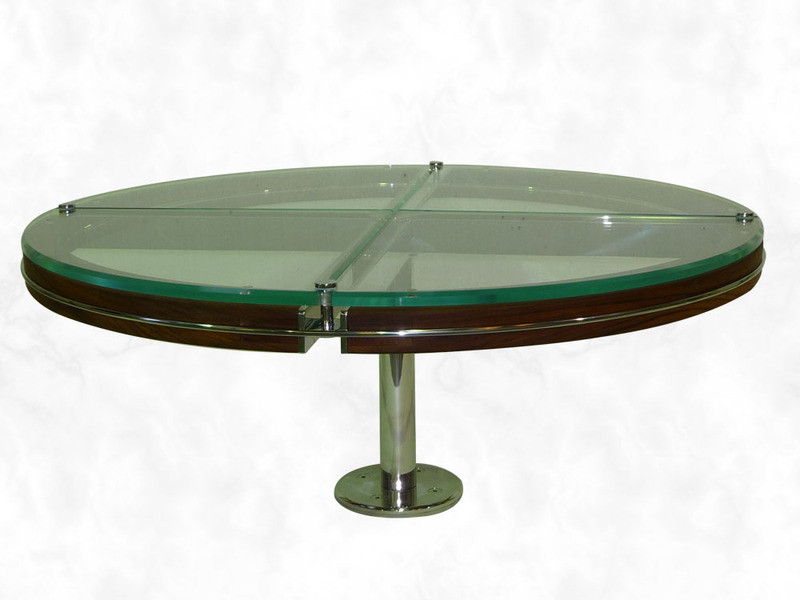 The Tables had a mix of opening options to maximise the use of the same. 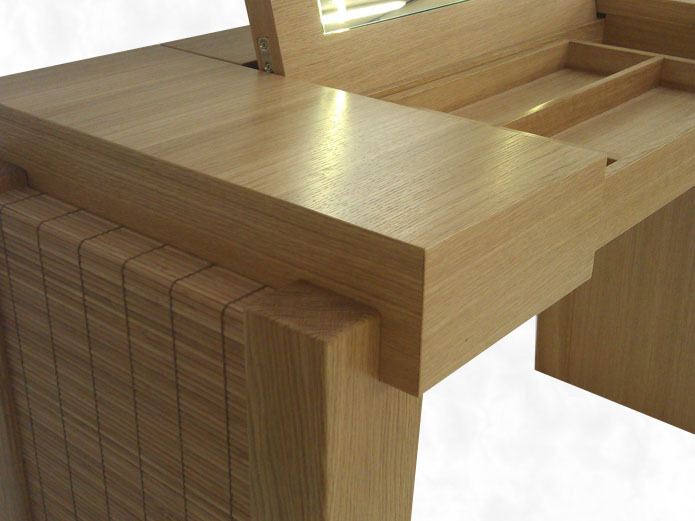 The selection of the timber & veneer was crucial on this project as the Client had a specific requirement for Crown Cut materials to be used. 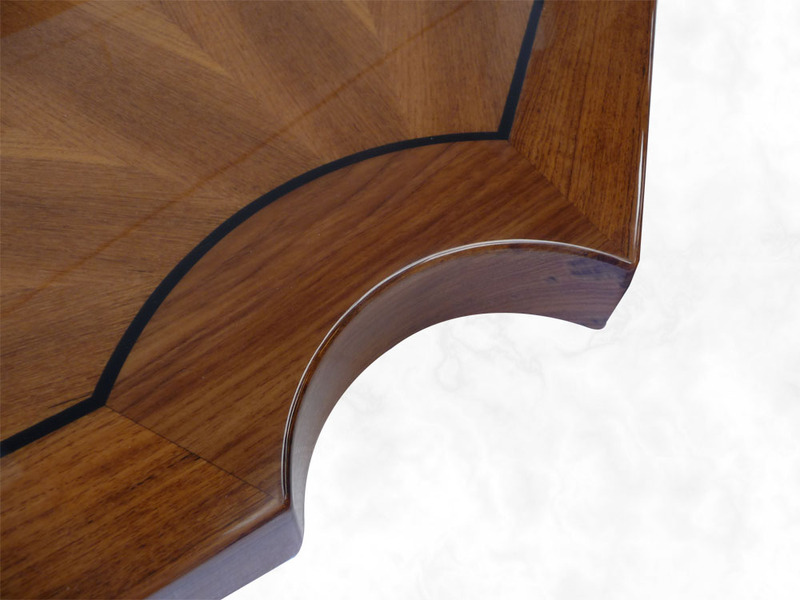 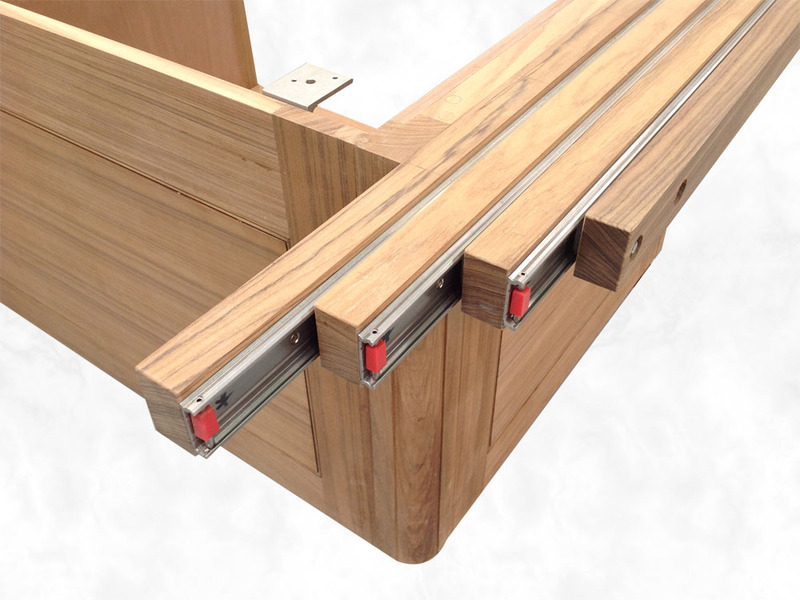 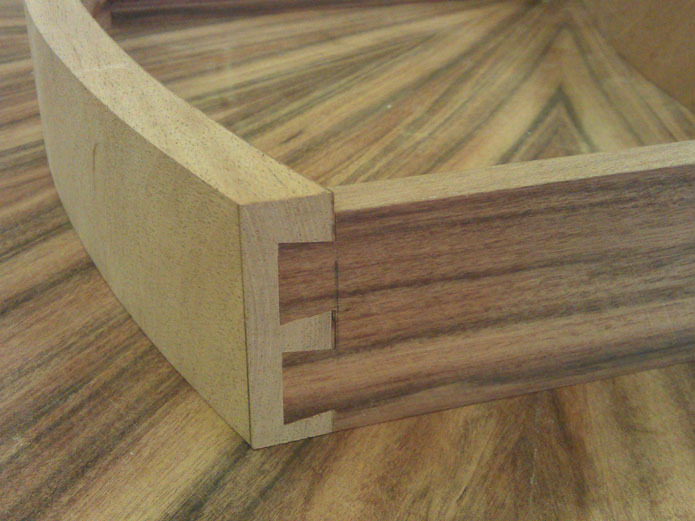 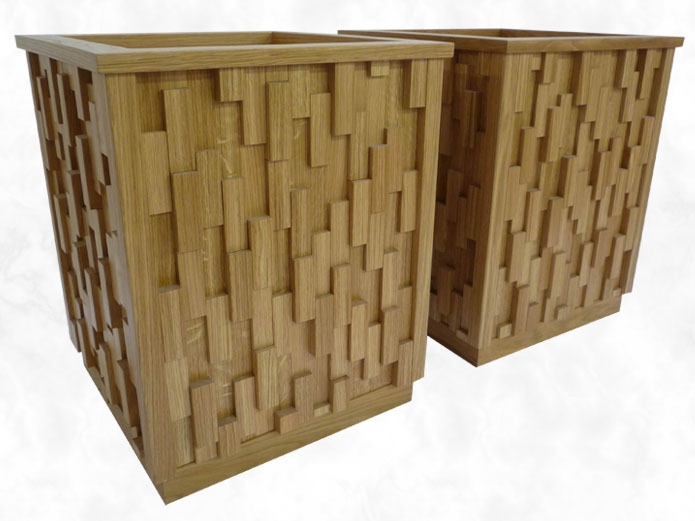 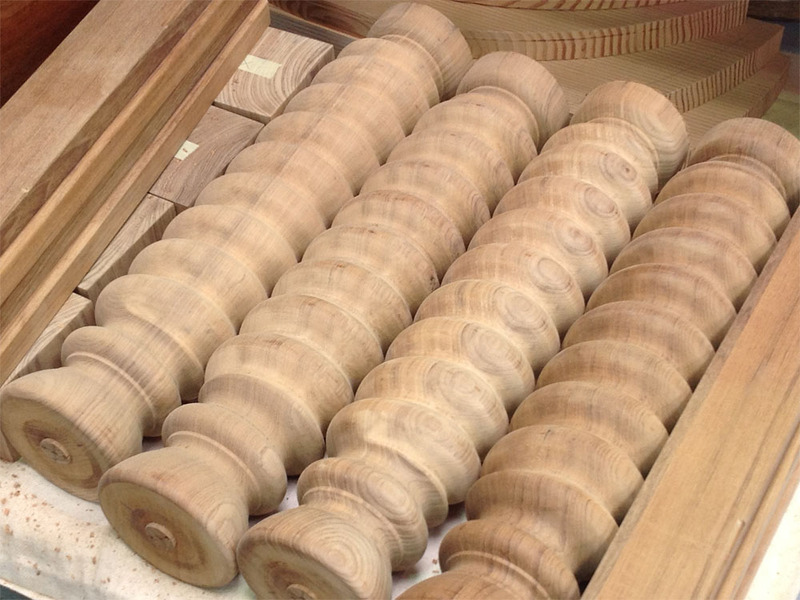 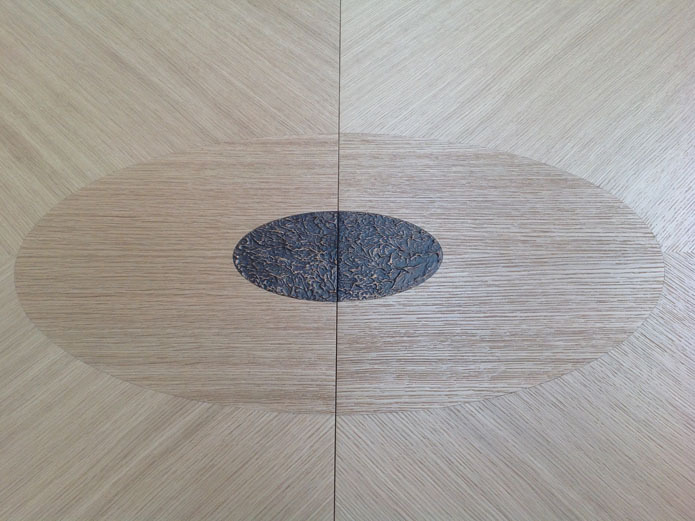 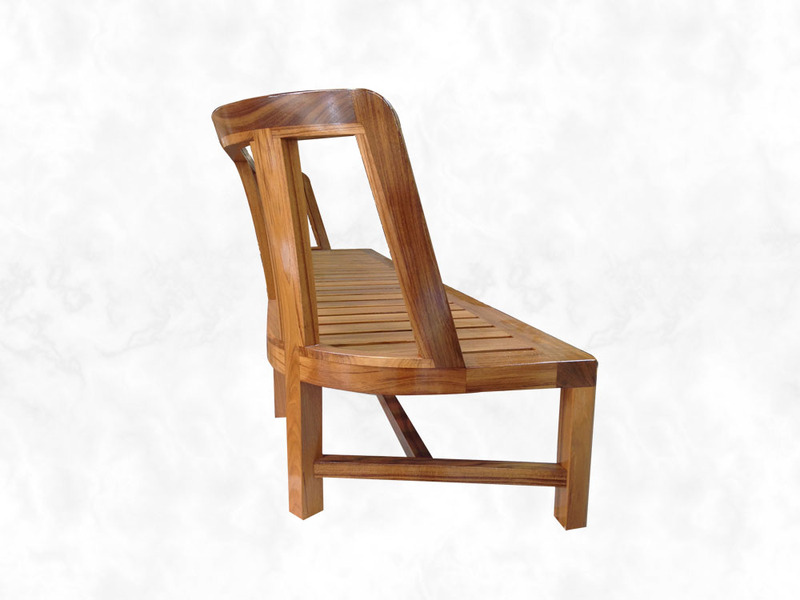 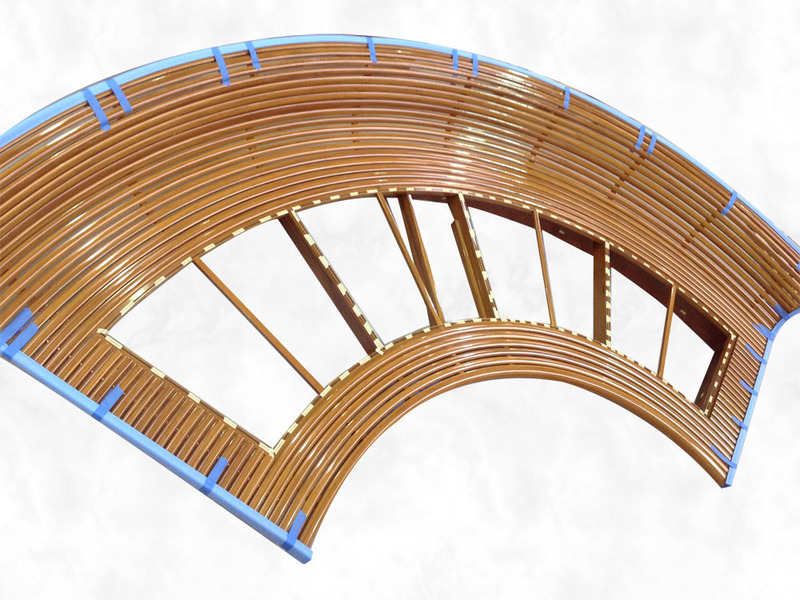 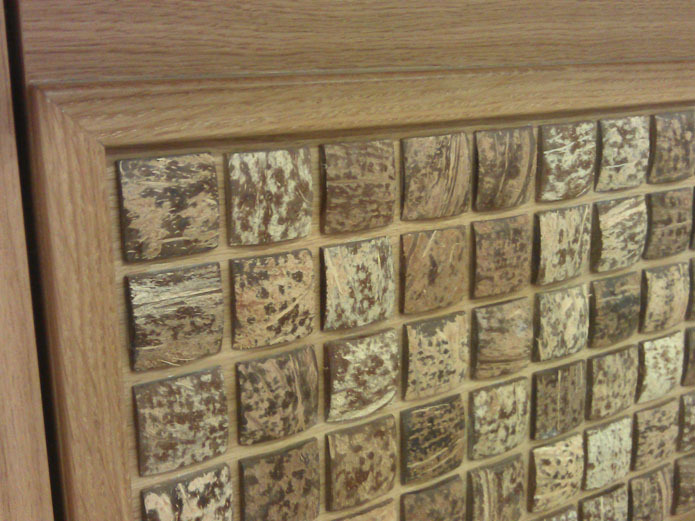 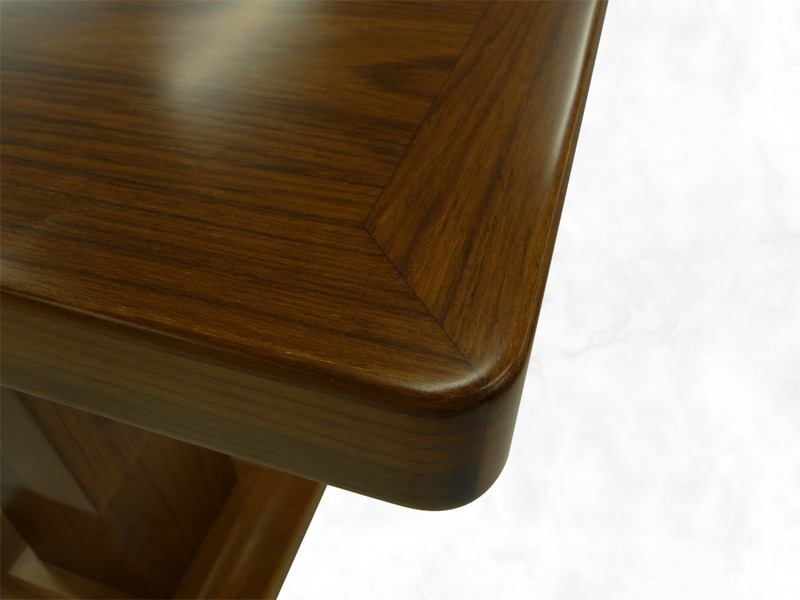 This resulted in Veneering solid Teak Timber to enable the continuity of the grain to be followed through the furniture. 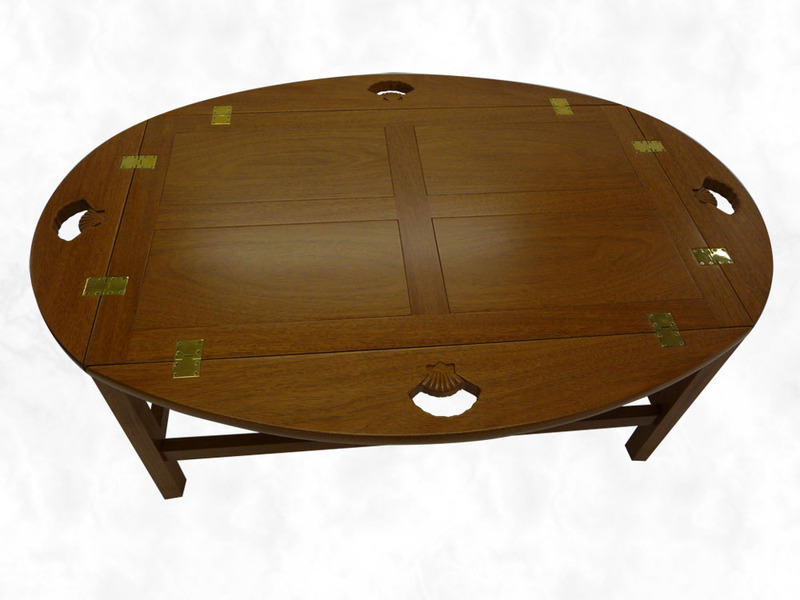 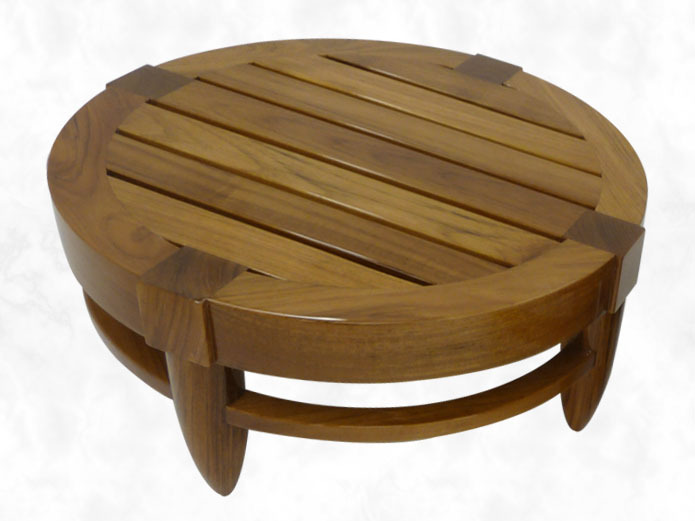 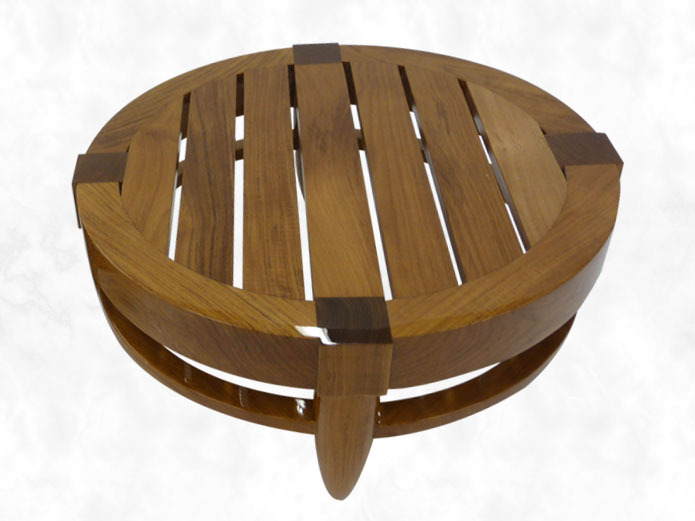 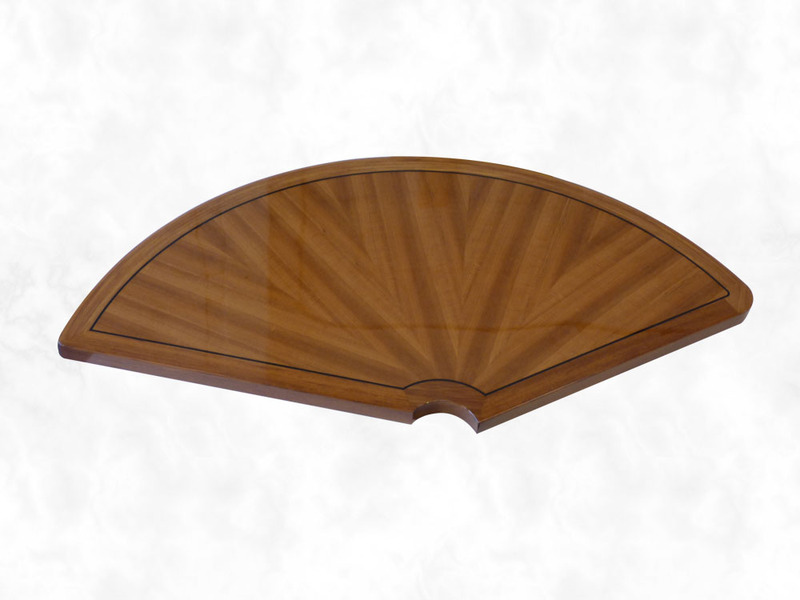 A traditional ‘Butlers Table’ was also made in Brazilian Mahogany with a Shell Design carved into the hinged flaps to be utilised as handles when carrying the tray around. 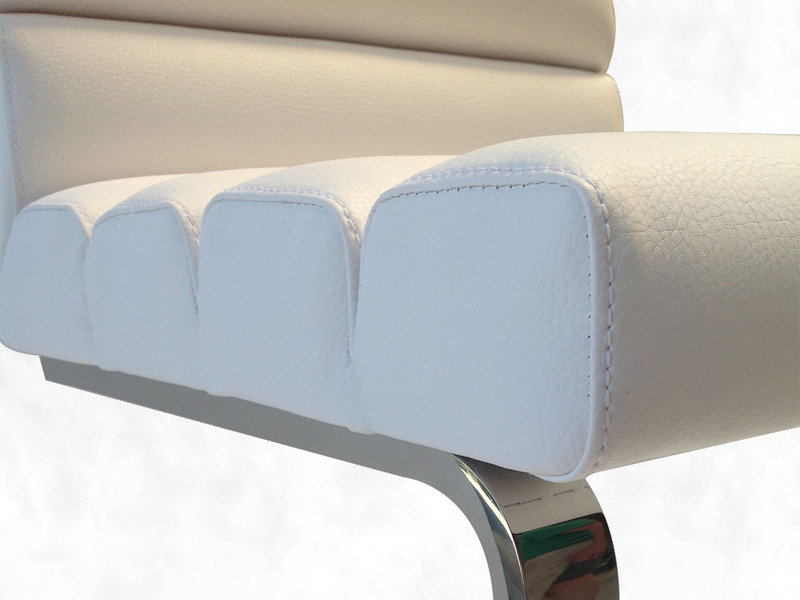 We have successfully been creating a range of exterior funiture for Summit Furniture, who have offices in both European offices at Chelsea Harbour, London and Headquarters in Monterey Canada. 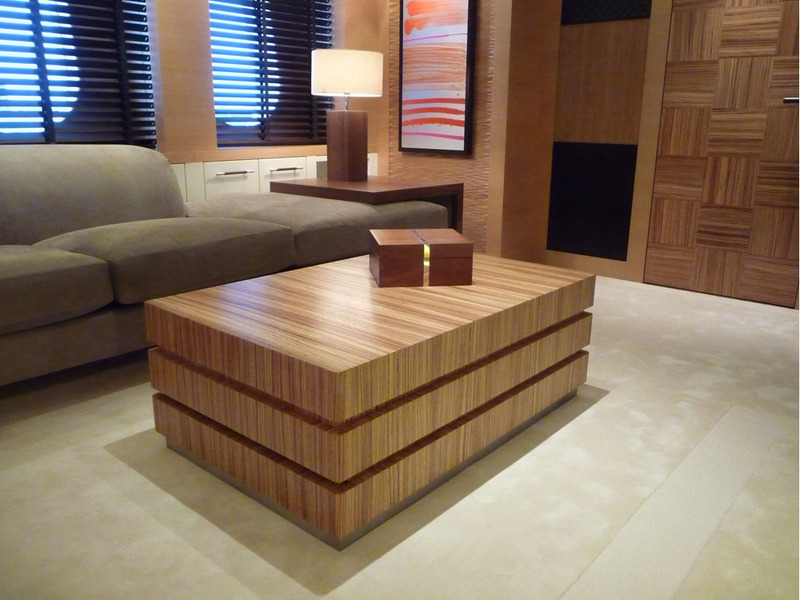 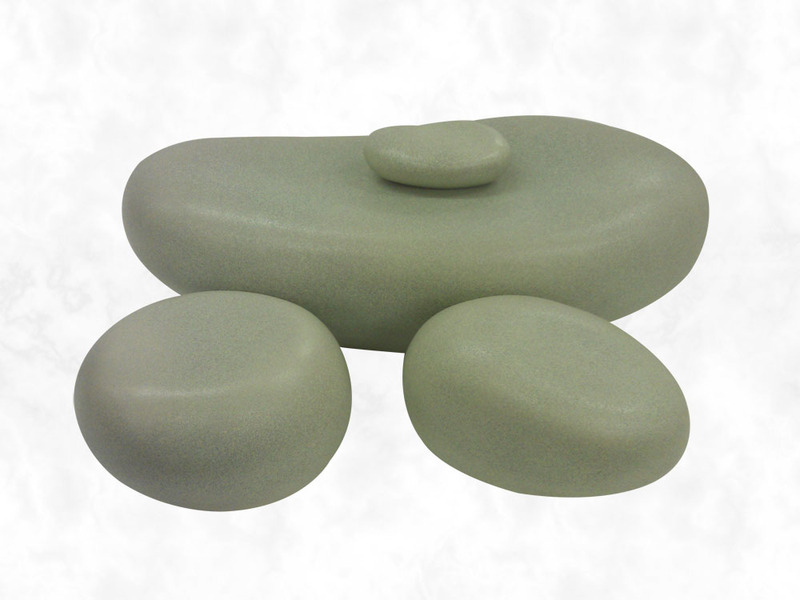 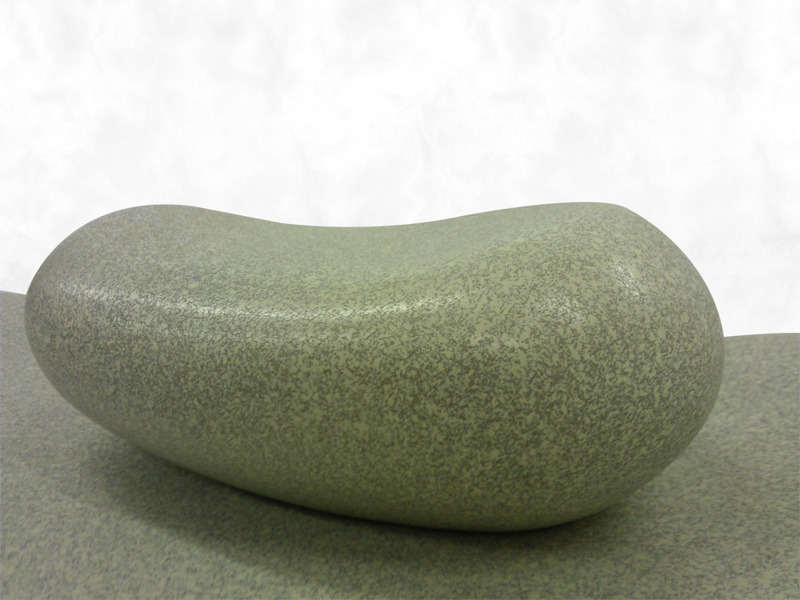 The items made by Parkway Interiors were for the Chelsea Harbour, London office. 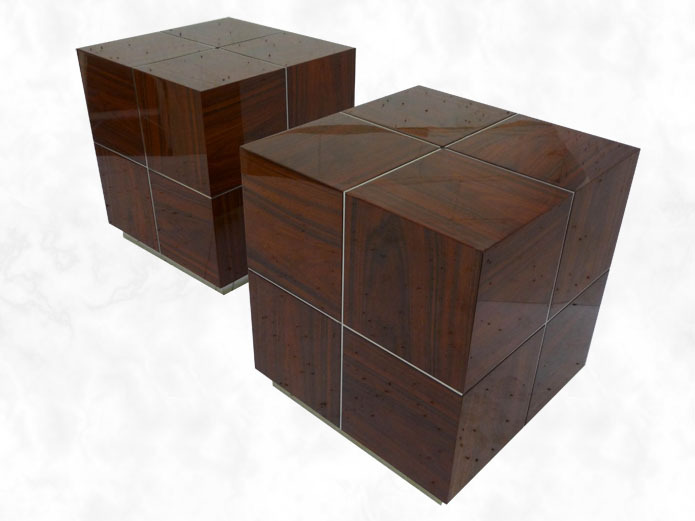 - The Interior furniture comprised a mix of ‘Fumed Oak’, ‘Natural Oak’, Zebrano, Leather, Shagreen and polyester lacquer finishes.